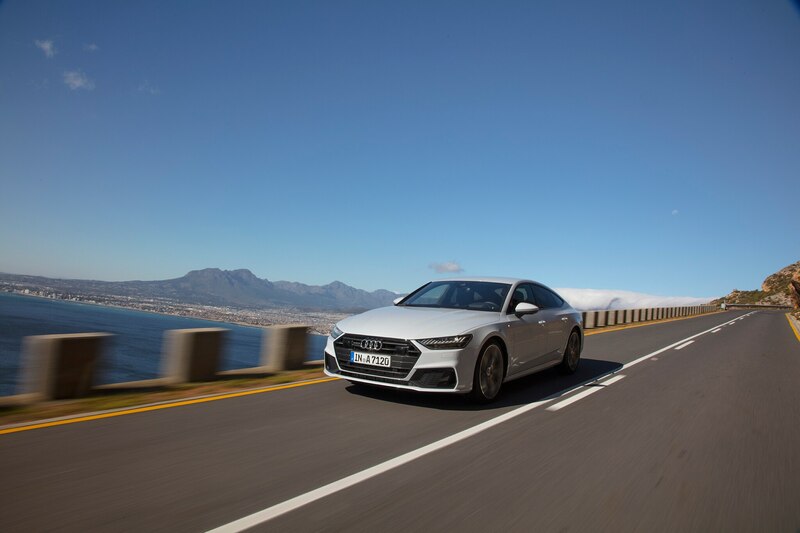 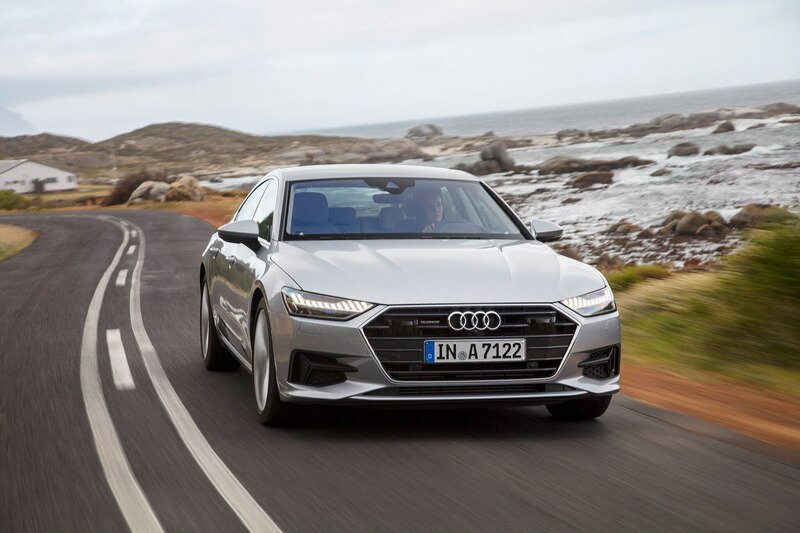 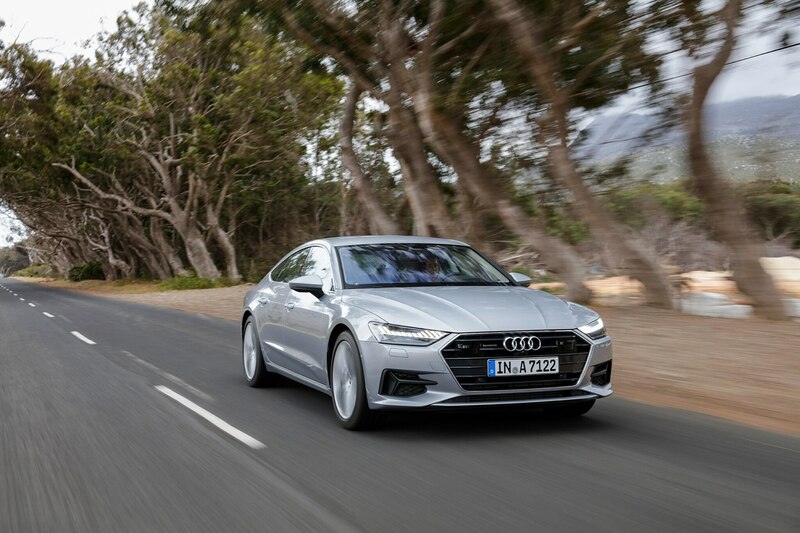 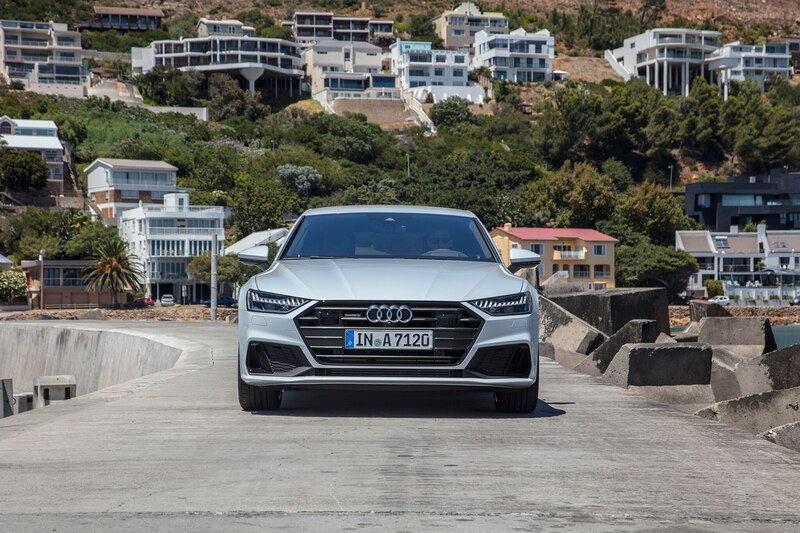 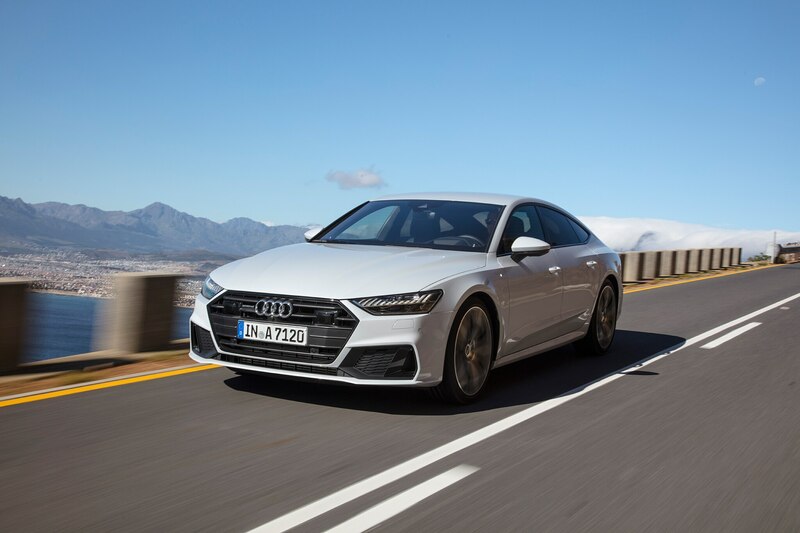 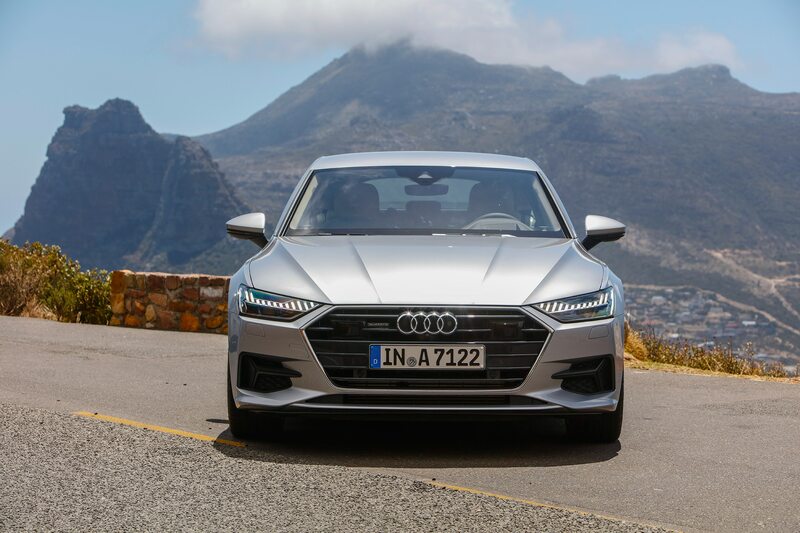 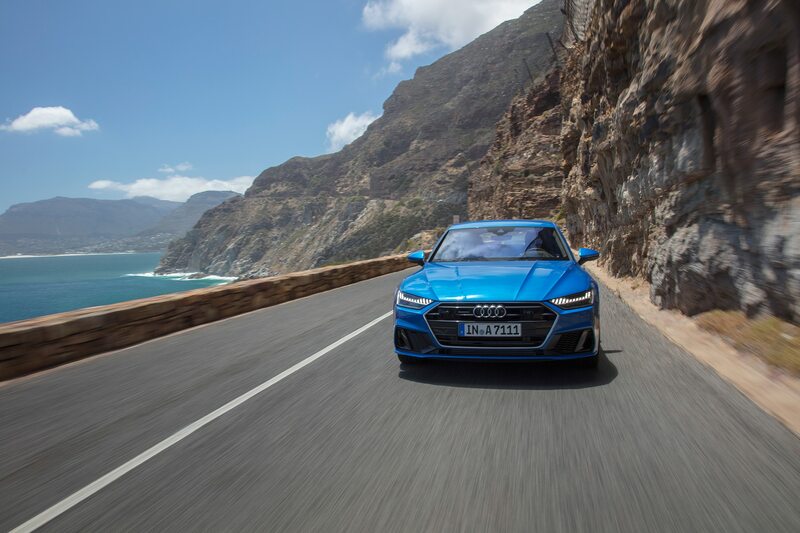 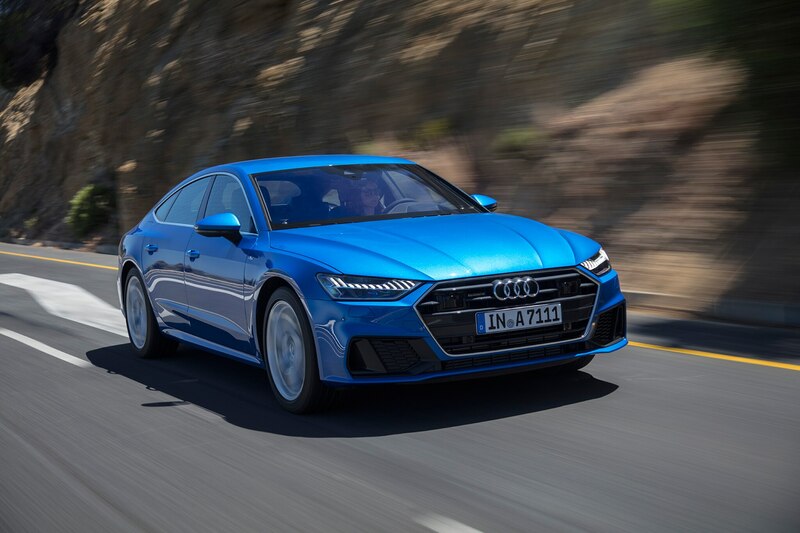 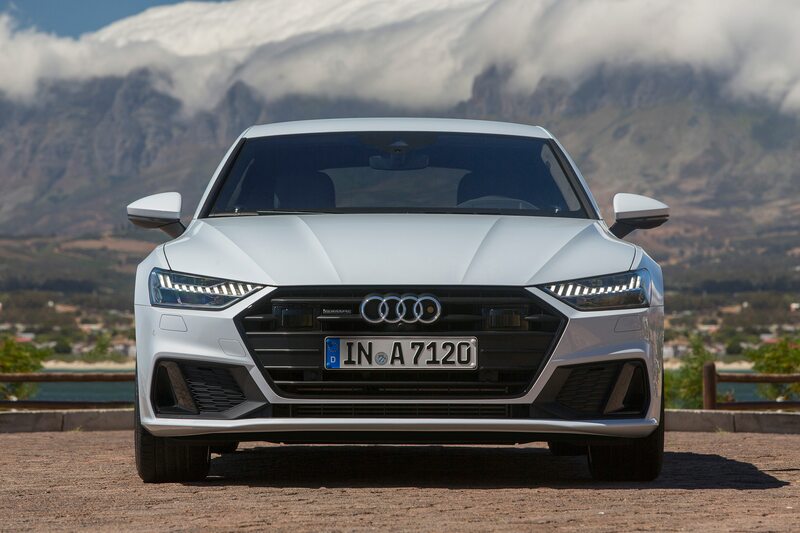 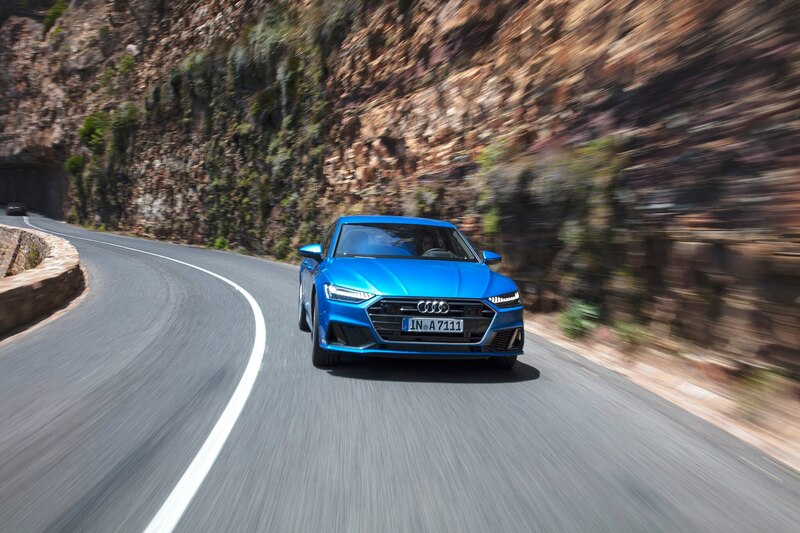 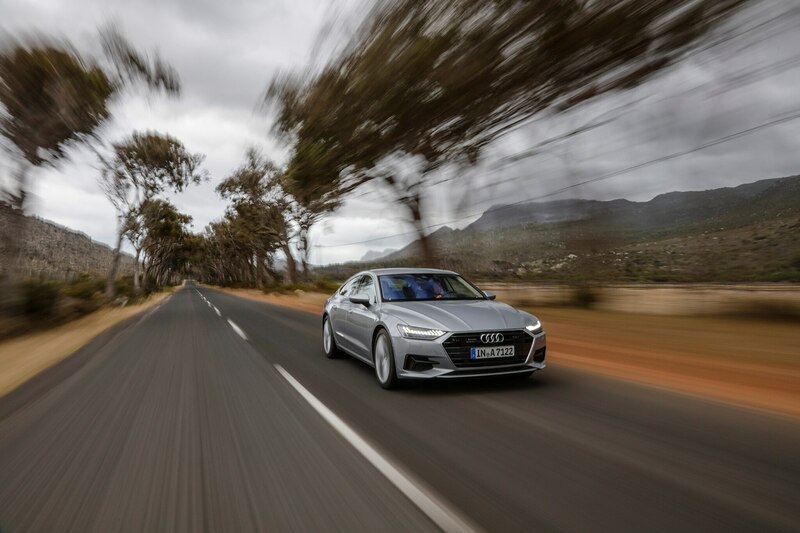 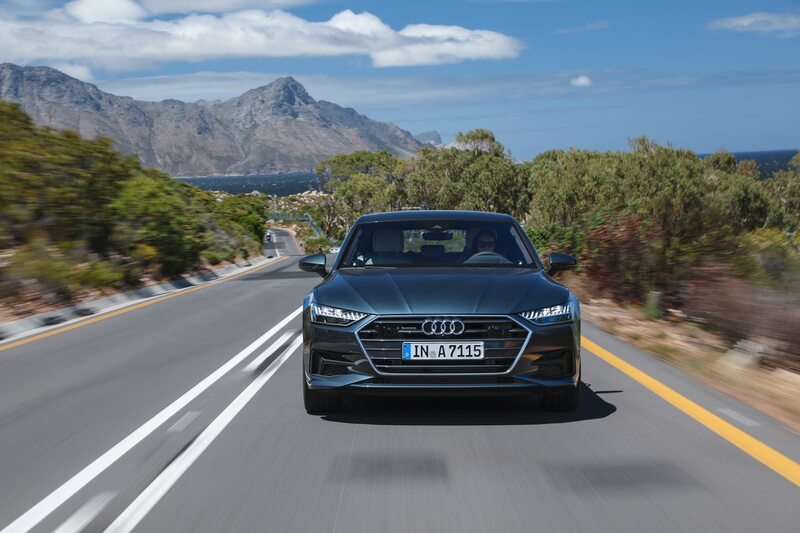 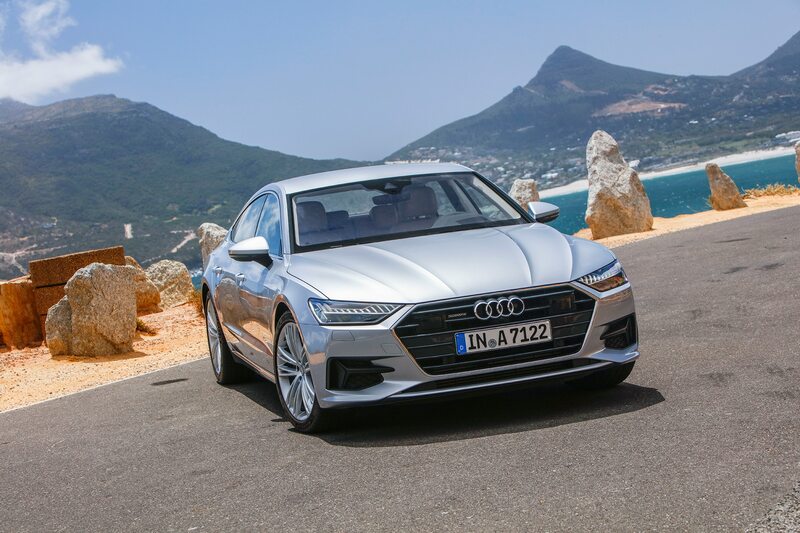 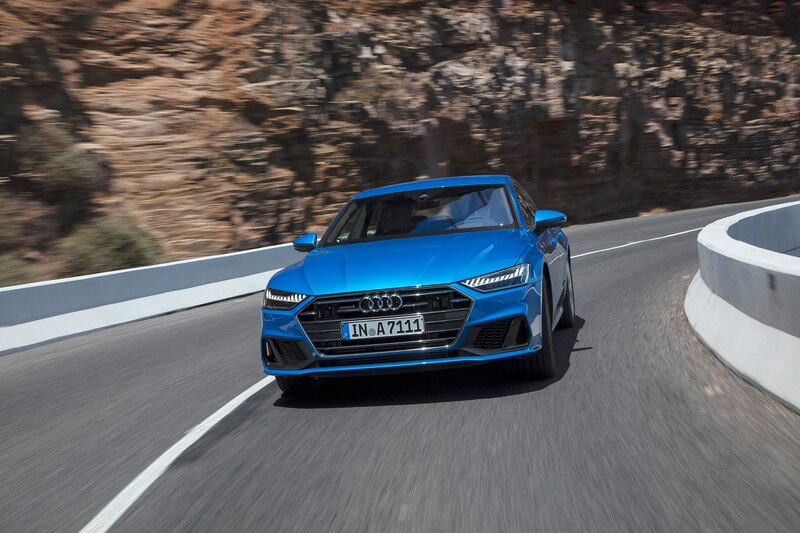 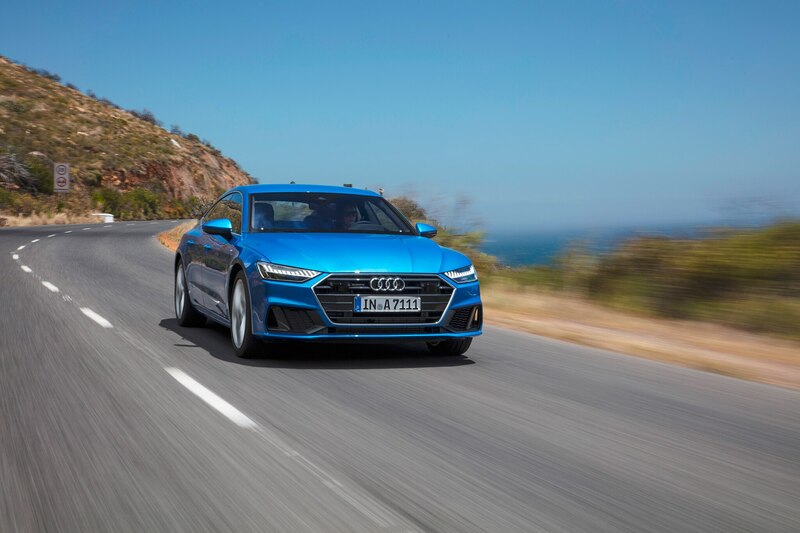 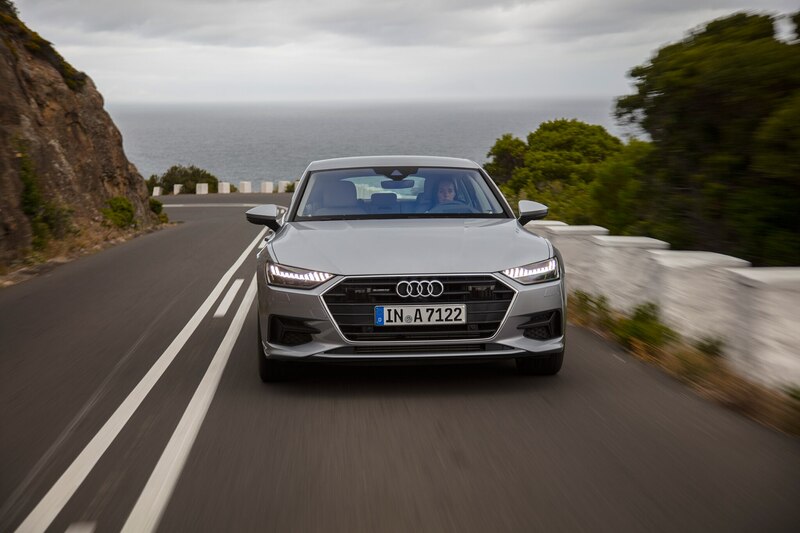 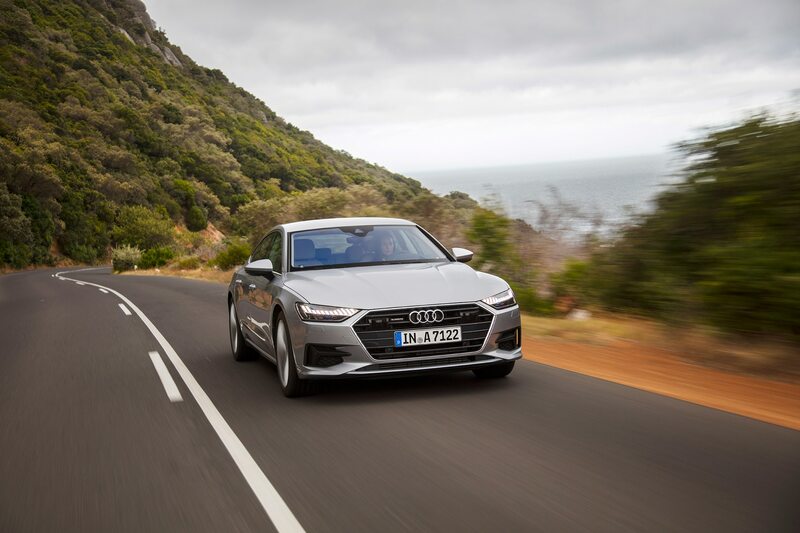 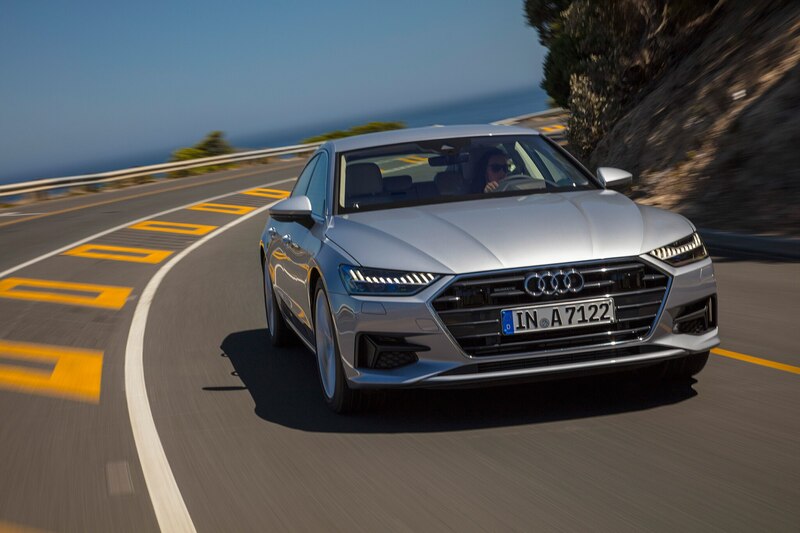 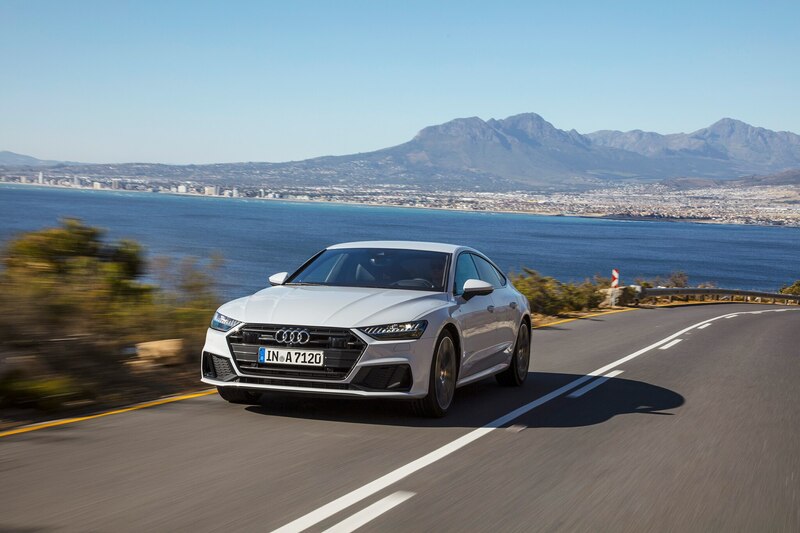 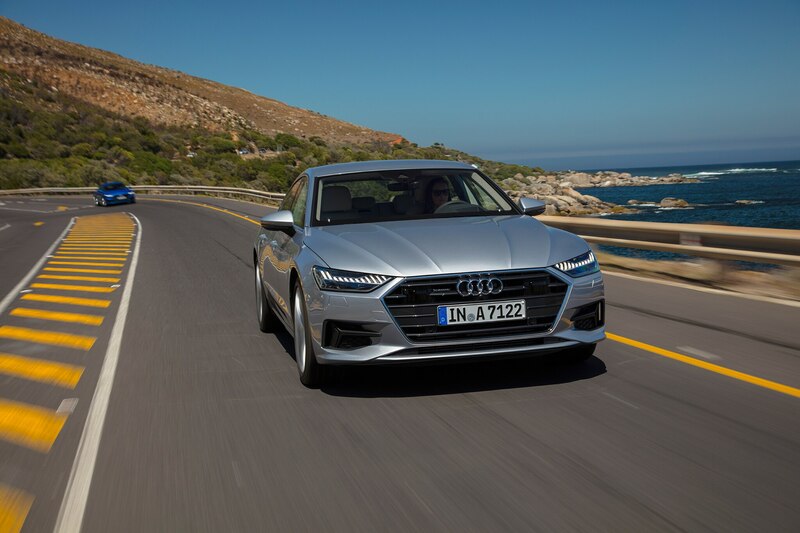 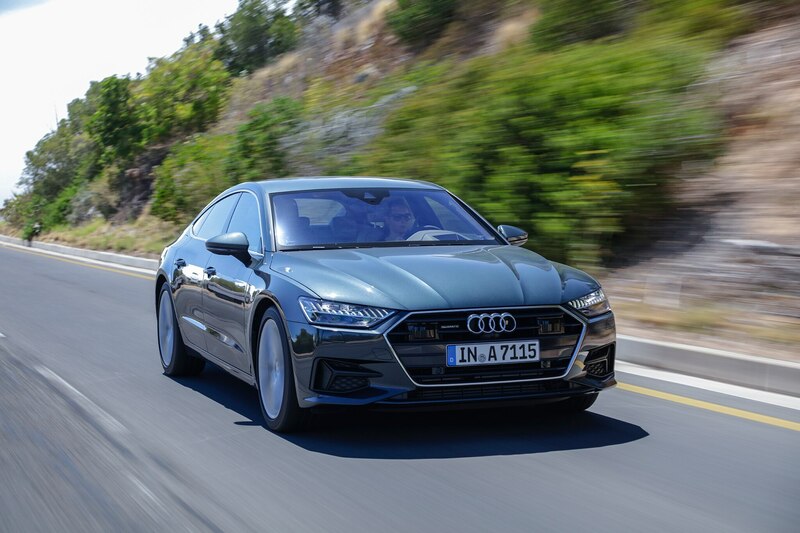 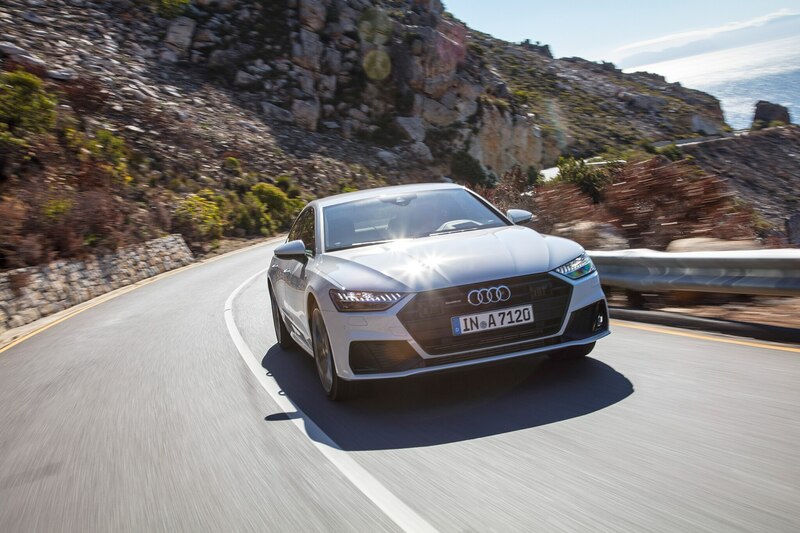 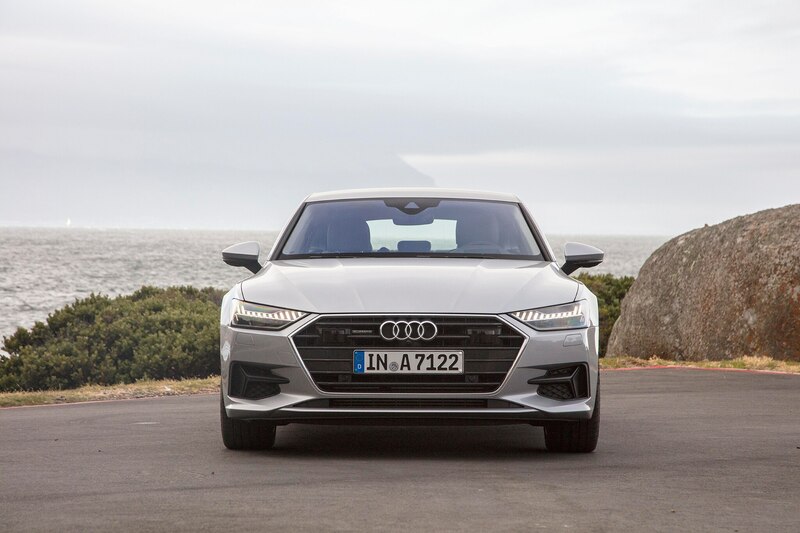 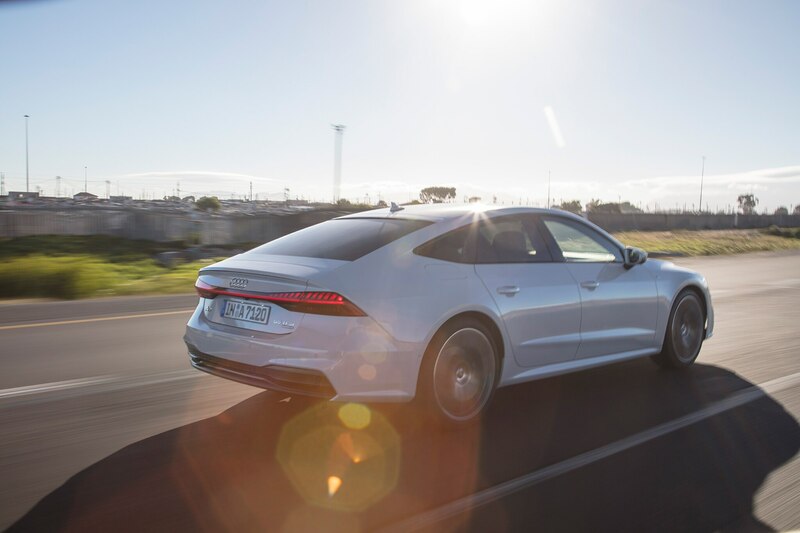 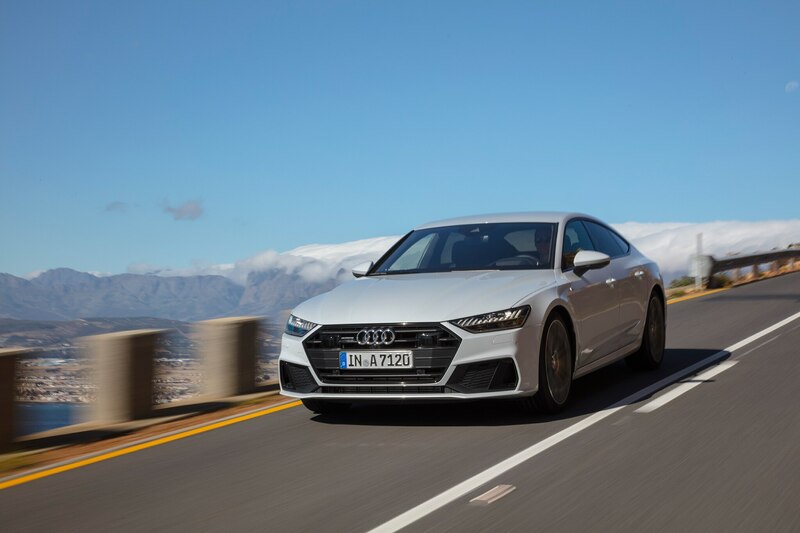 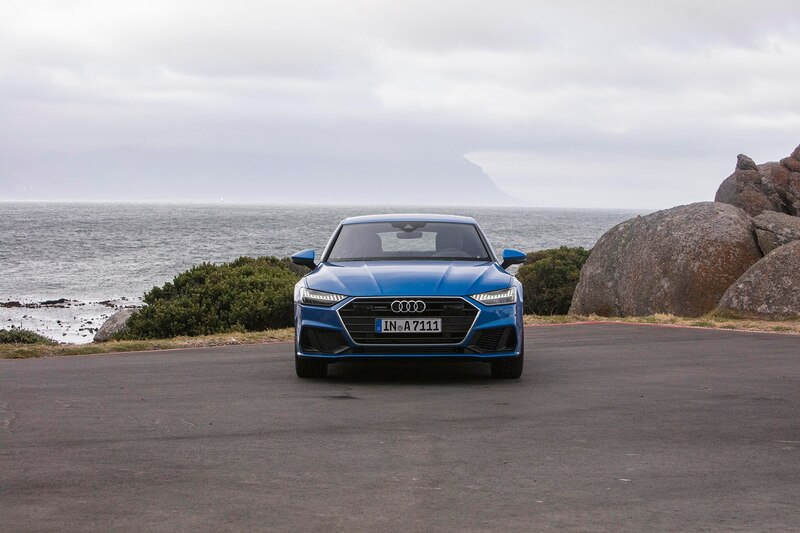 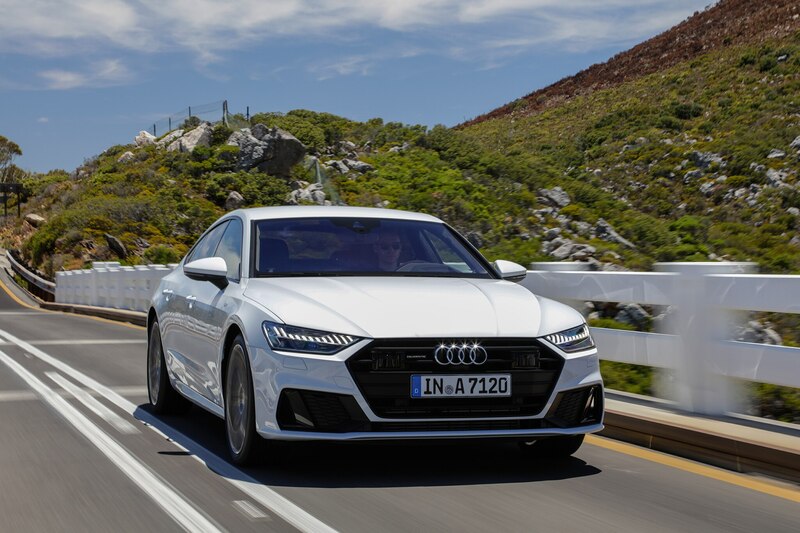 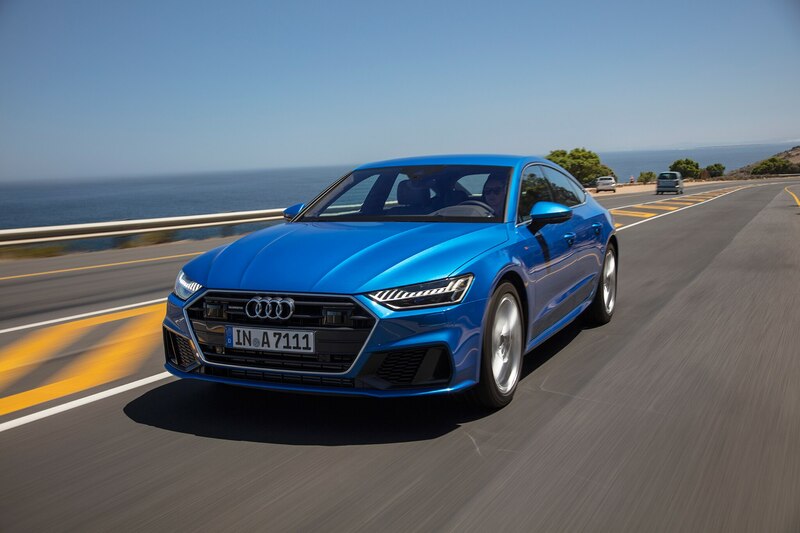 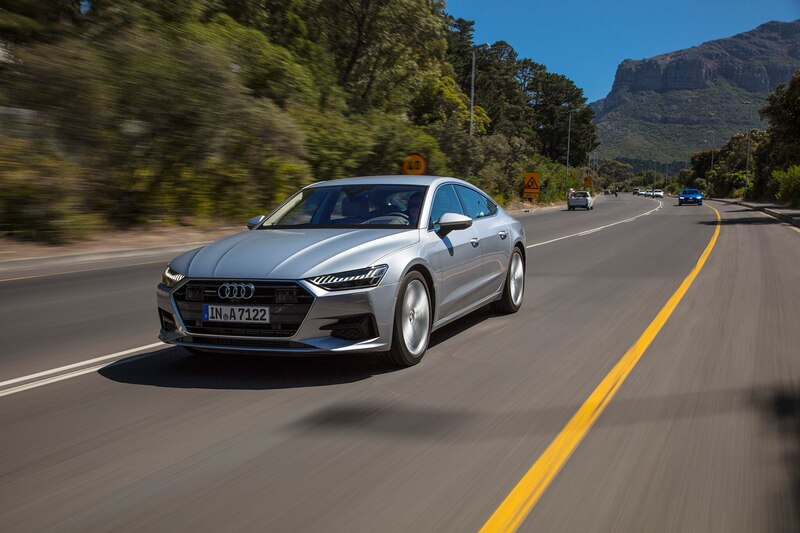 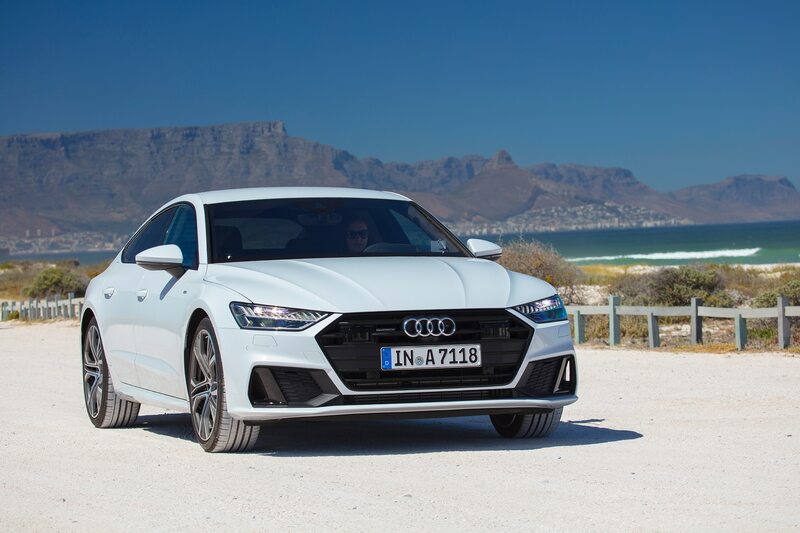 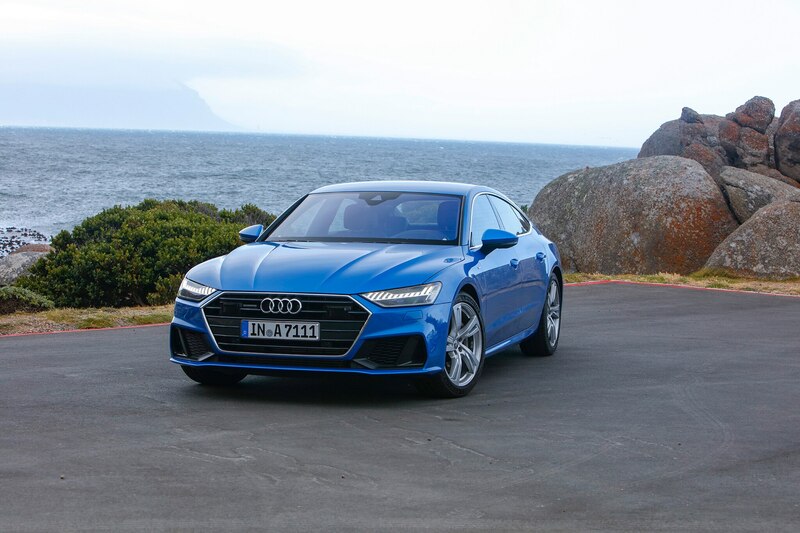 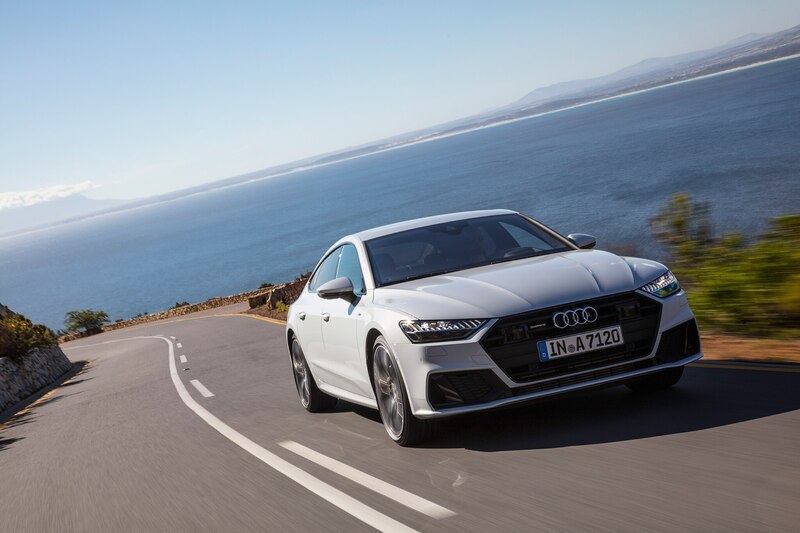 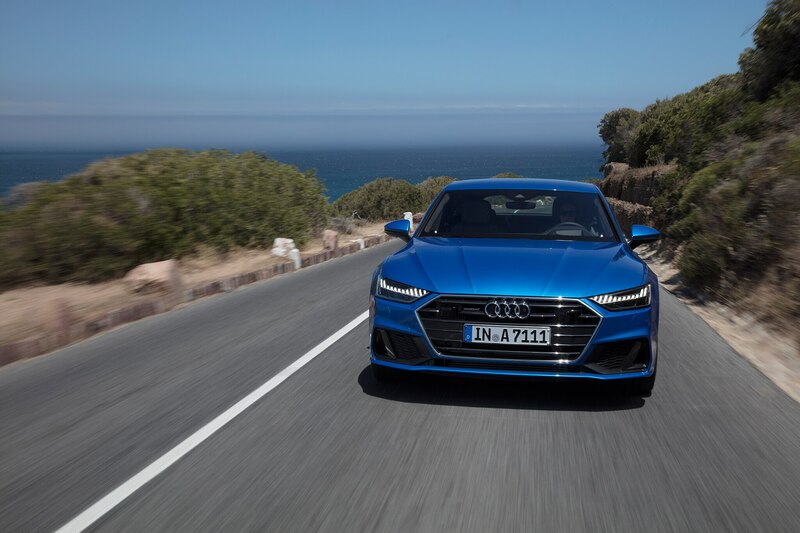 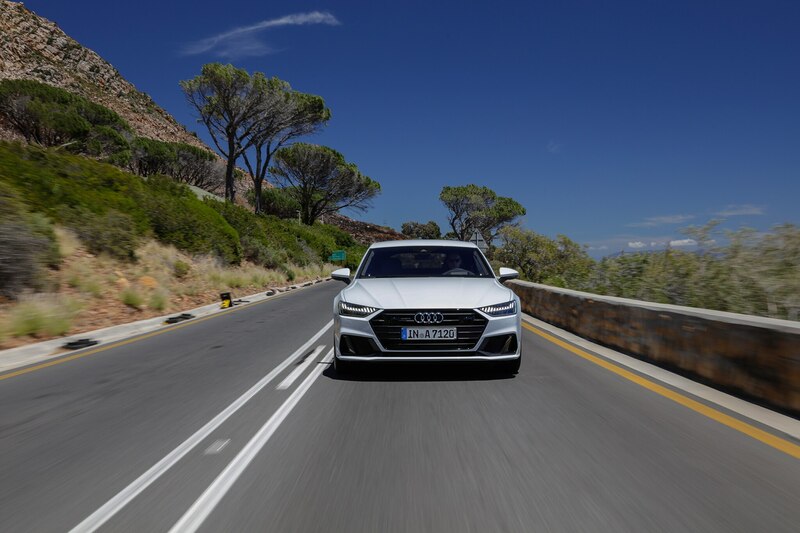 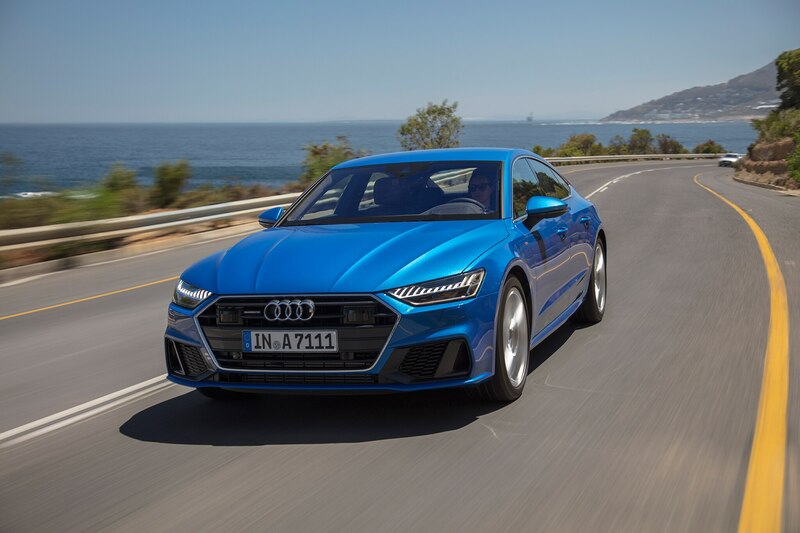 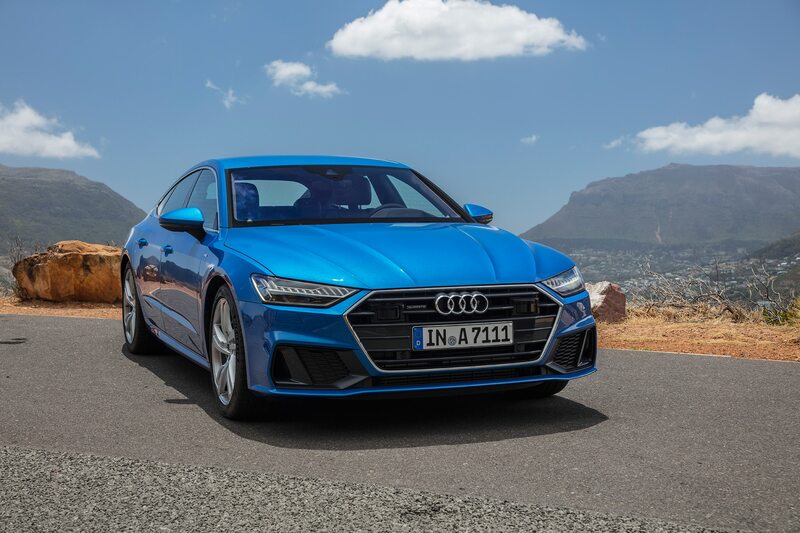 CAPE TOWN, South Africa — As we pointed the nose of the 2019 Audi A7 towards Sir Lowry’s Pass, near the Hottentots-Holland mountain range that rises above the Western Cape, we found ourselves surrounded. 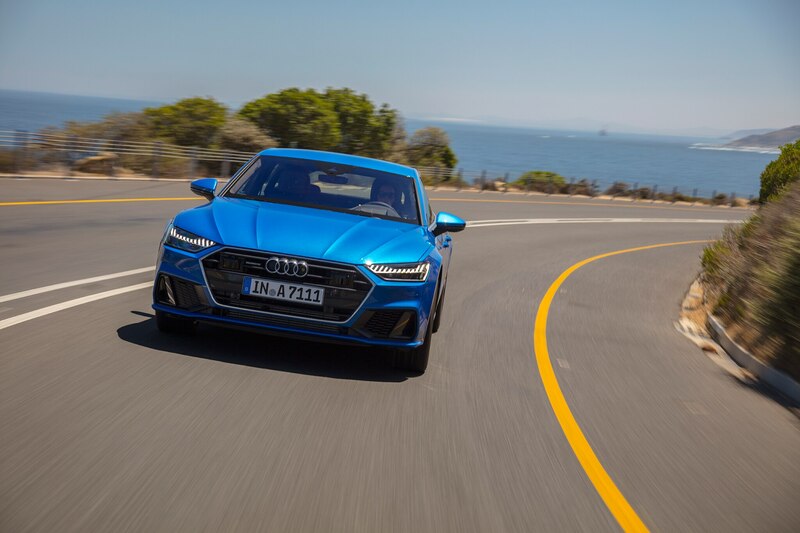 A small group of local boys, maybe 10 years old or so and all grinning from ear to ear, made a semi-circle around our slow-moving, dark blue Audi, whooping and hollering as they ran alongside, trying to keep up and making rapid, undecipherable signals with their hands. 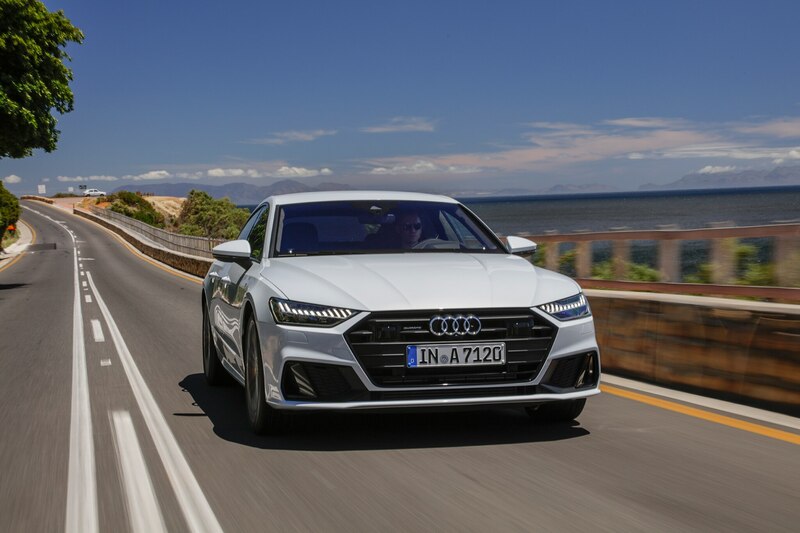 In this semi-rural area where few households appear to own a vehicle, the sleek lines of the A7 seemed irresistible to these youngsters, leading my co-driver and I to muse about American children getting this excited about an Audi. 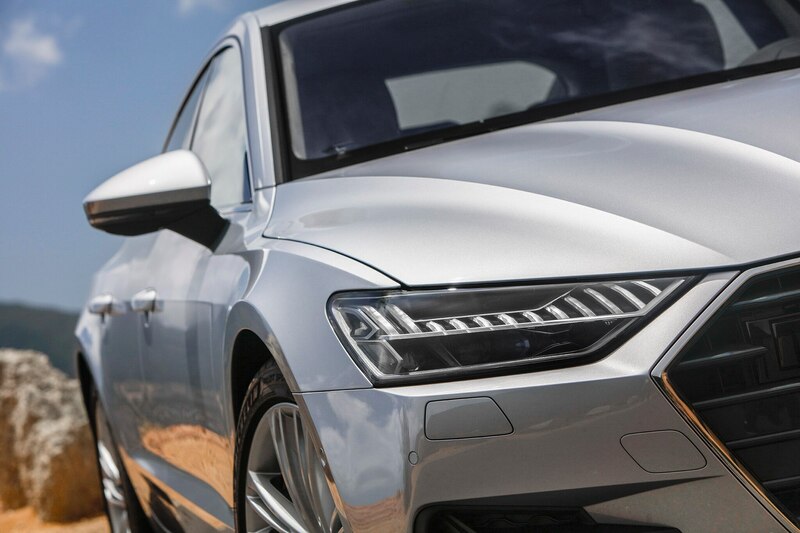 Any Audi. 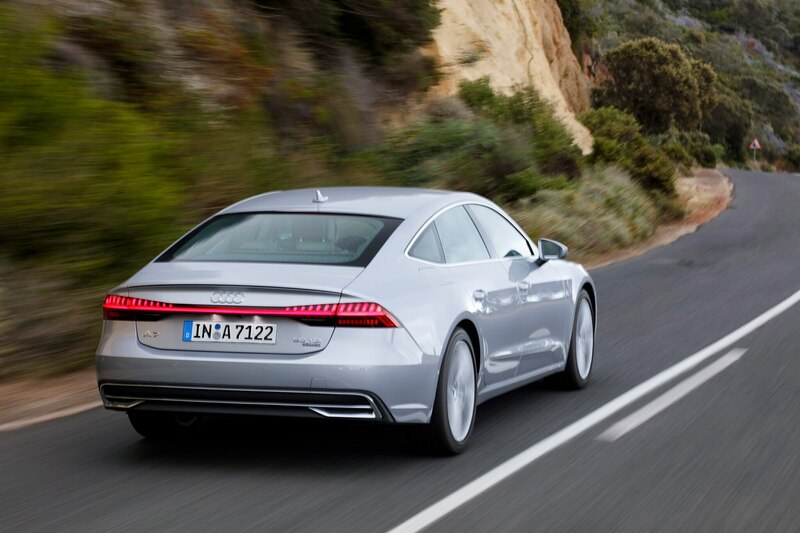 When the A7 was lauched back in 2010, its sleek, sophisticated design was groundbreaking for the brand. 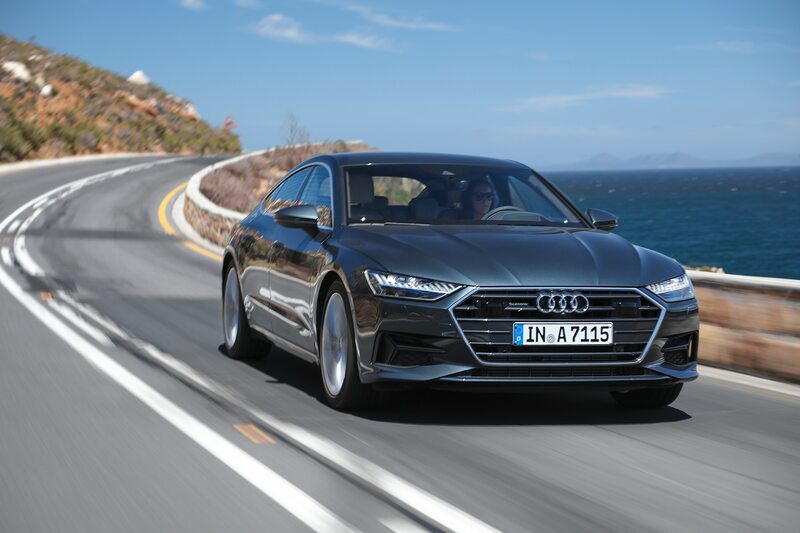 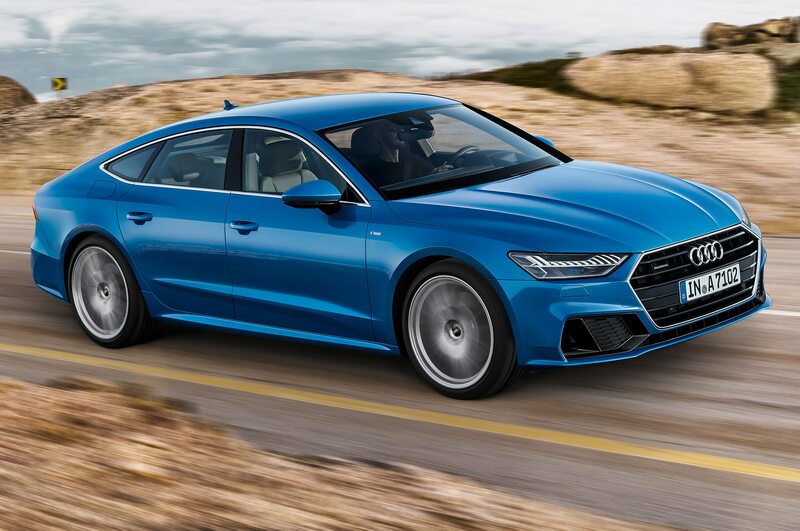 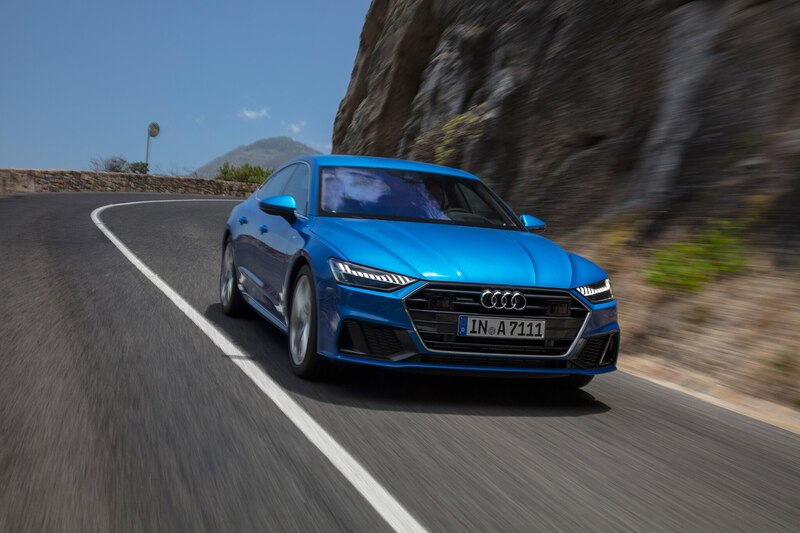 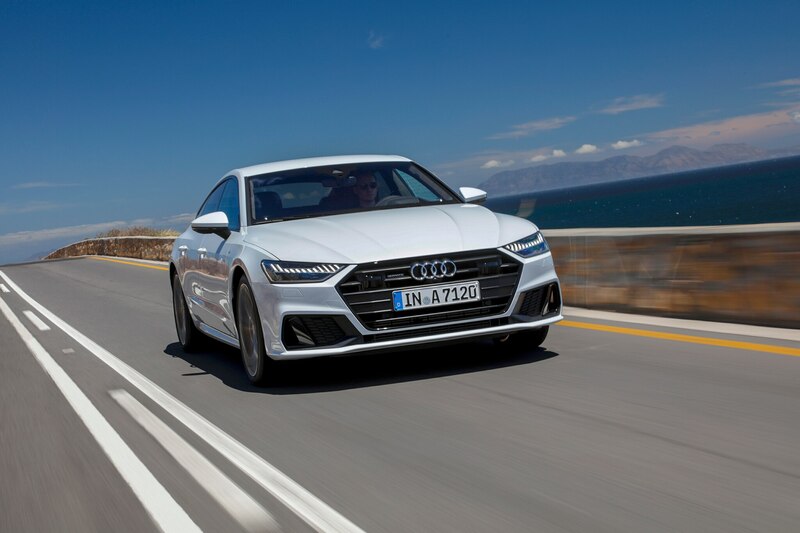 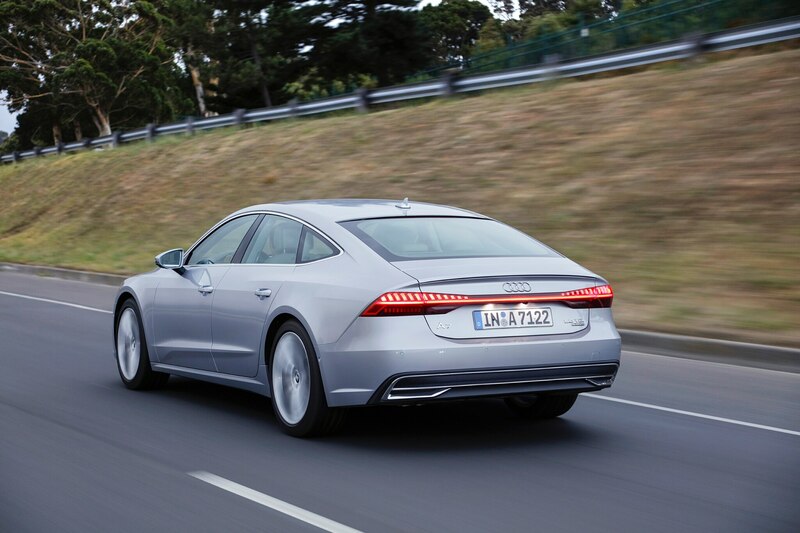 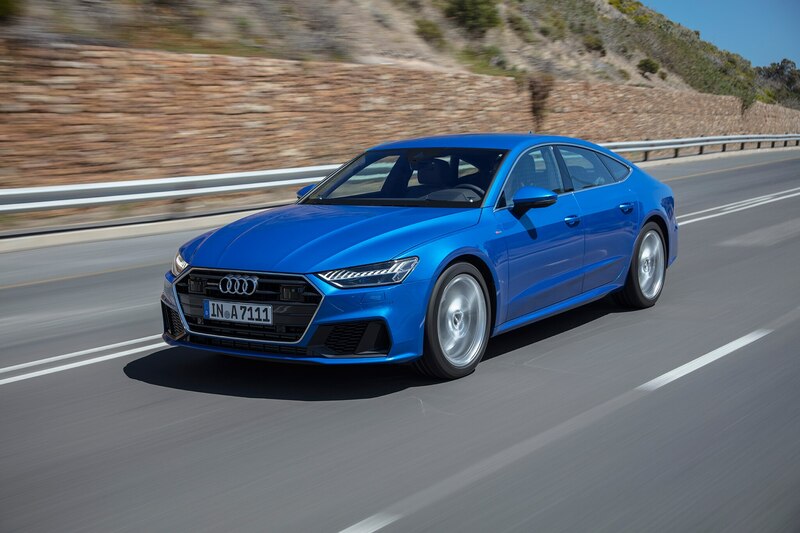 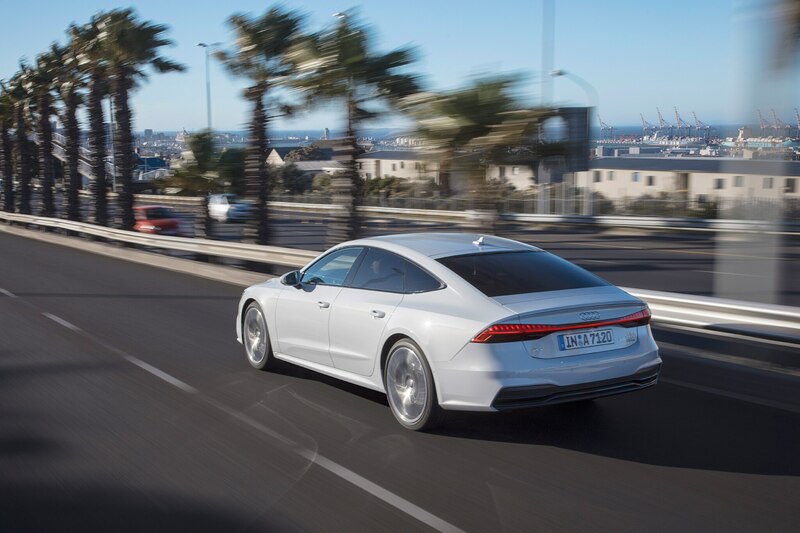 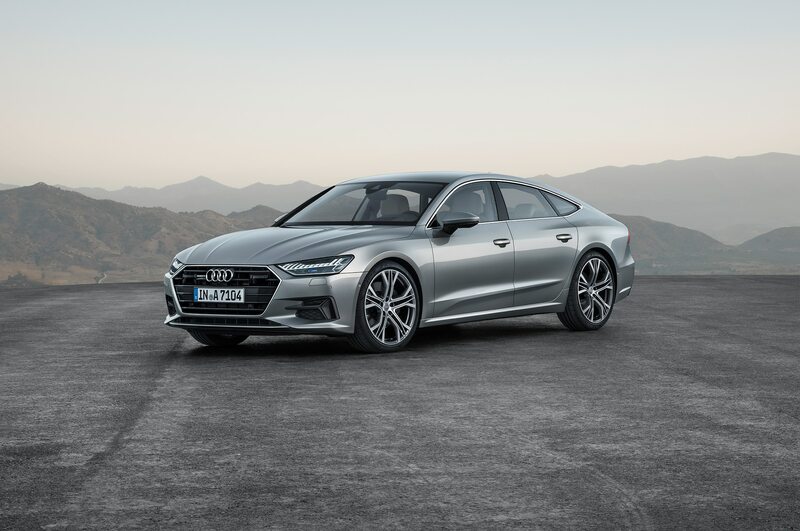 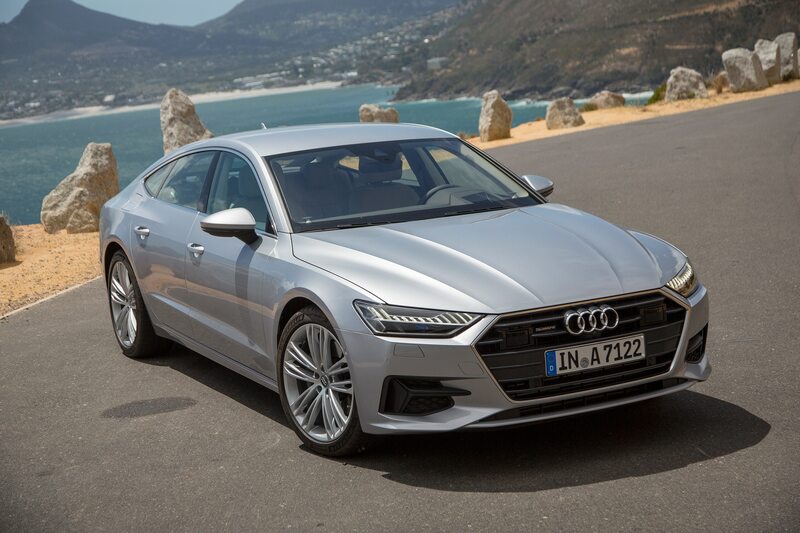 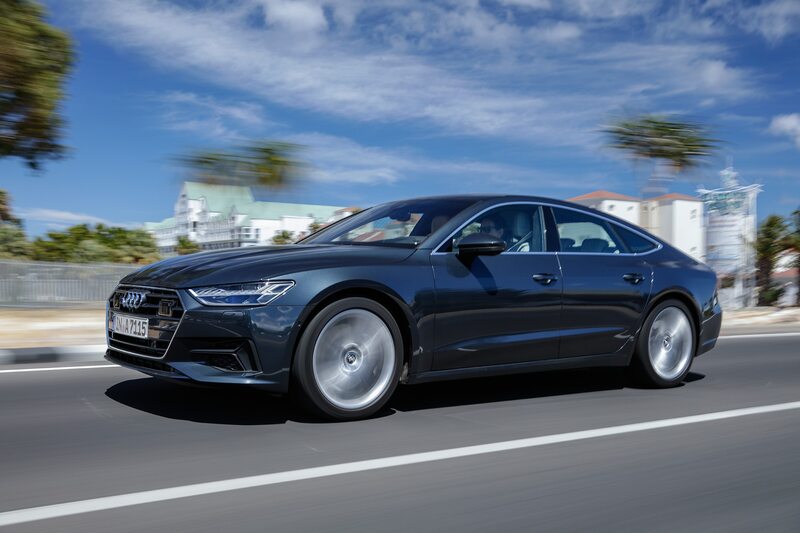 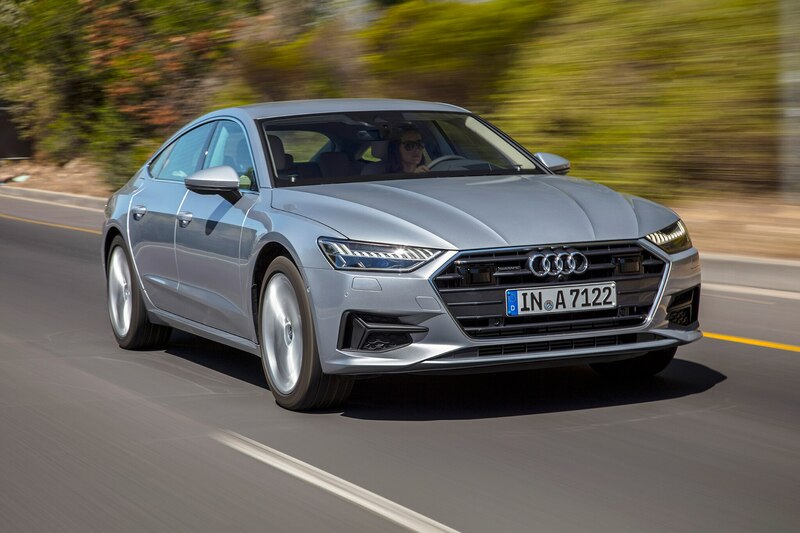 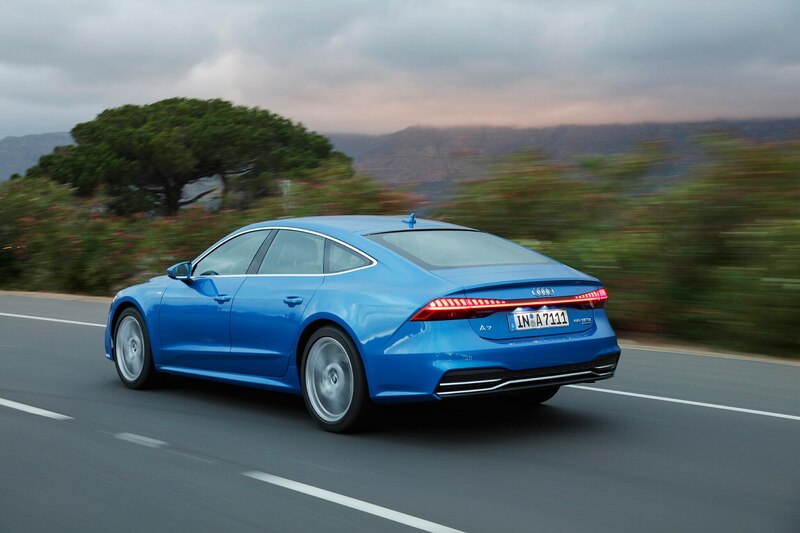 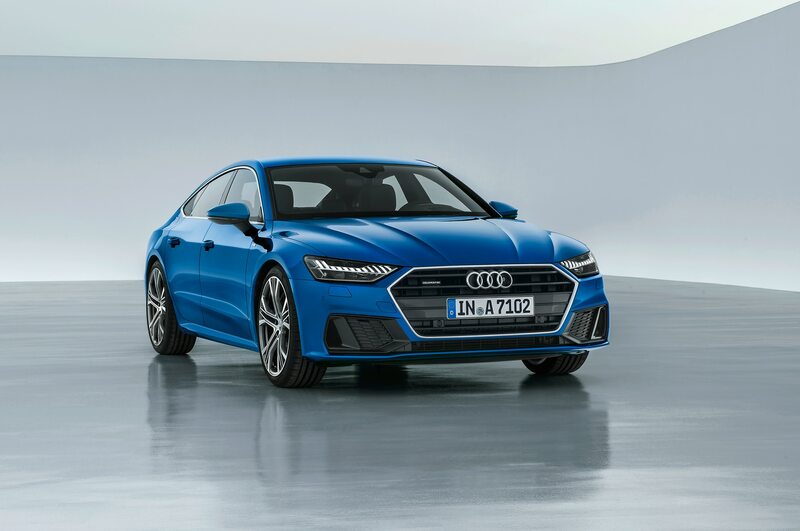 Its “four-door coupe” styling was still somewhat new and fresh in the market, but today, rakish, grand-touring-inspired bodywork is almost the norm in cosmopolitan cities and suburbs, which is why the second-generation A7 is going to have to rely on more than just good looks if it wants to keep its market share. 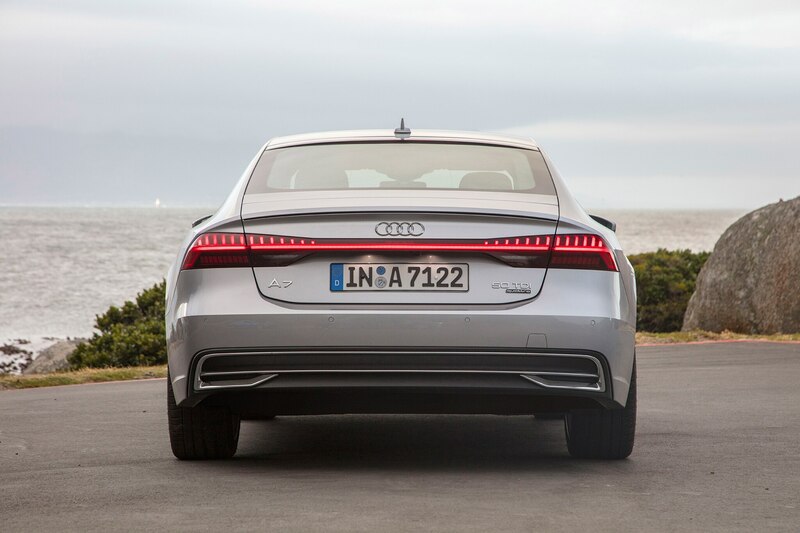 Not that it isn’t a nice-looking car. 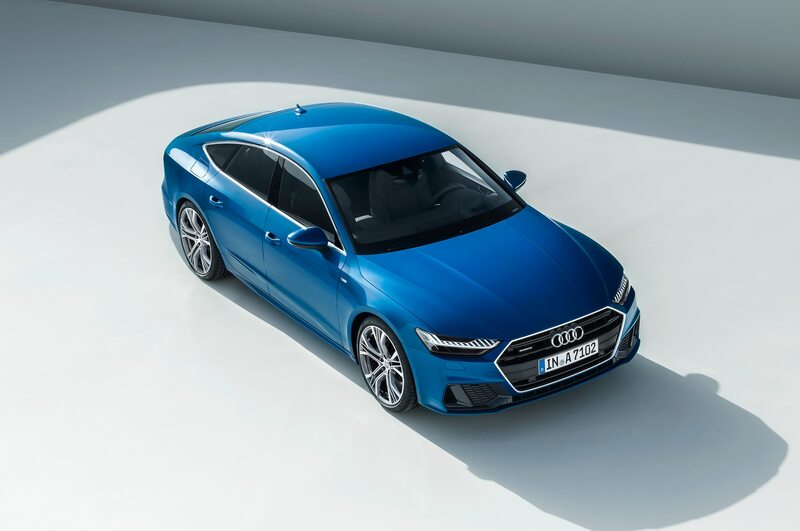 Audi has done an evolutionary update of the slope-roofed hatchback, drawing cues from the 2014 Audi Prologue concept—especially in the box-flared rear fenders and rounded tail, two of the car’s most striking features. 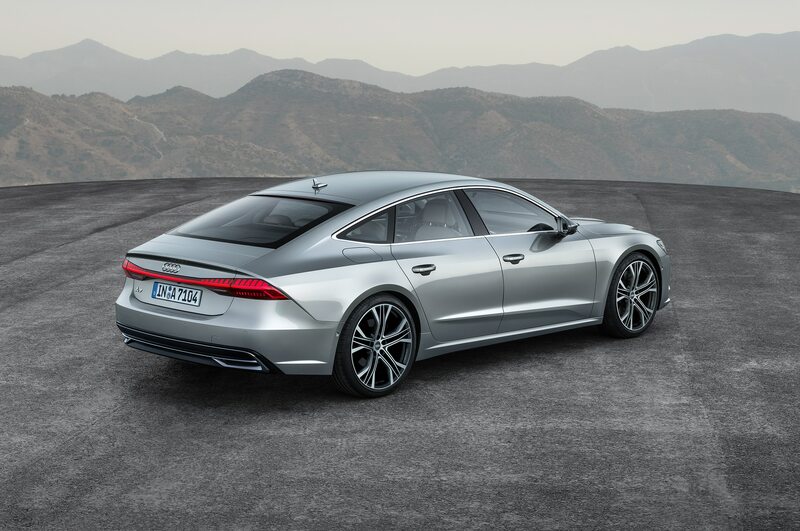 The car is slightly longer than the outgoing model, with a stretch that translates to less than an inch of extra passenger and cargo room, according to the brand’s reps. Maybe so, but there was no previous-generation model on hand for comparison purposes and as a result we’re not able to say if the difference is significant. 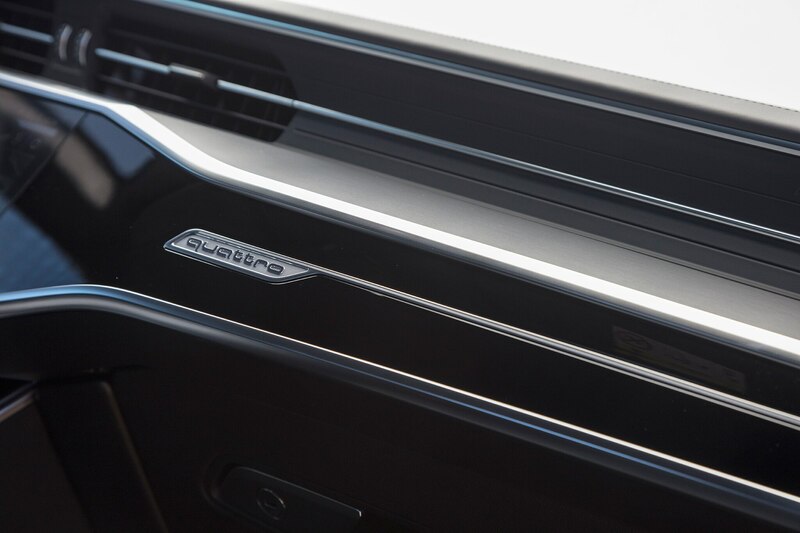 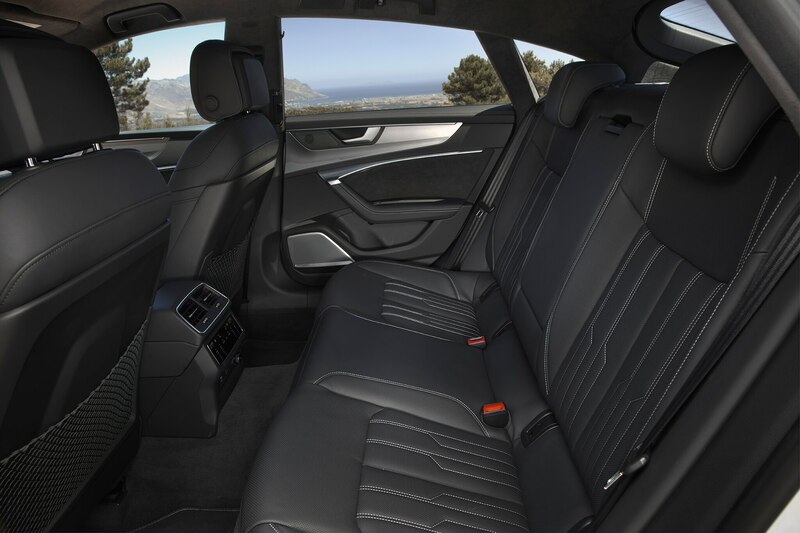 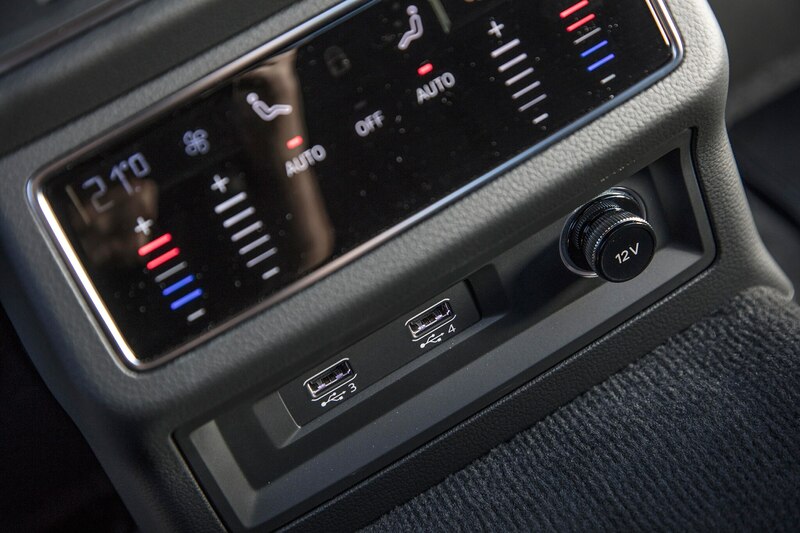 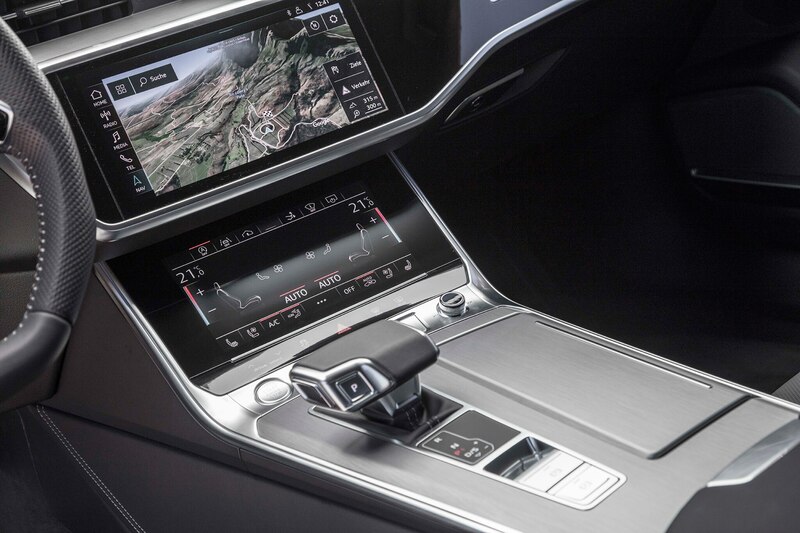 What is significant is the interior design, now with a heavy focus on Audi’s MMI infotainment system. 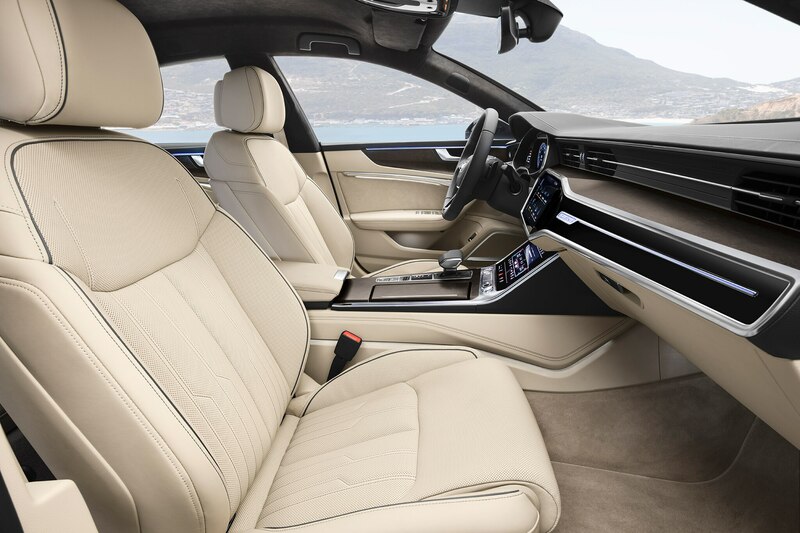 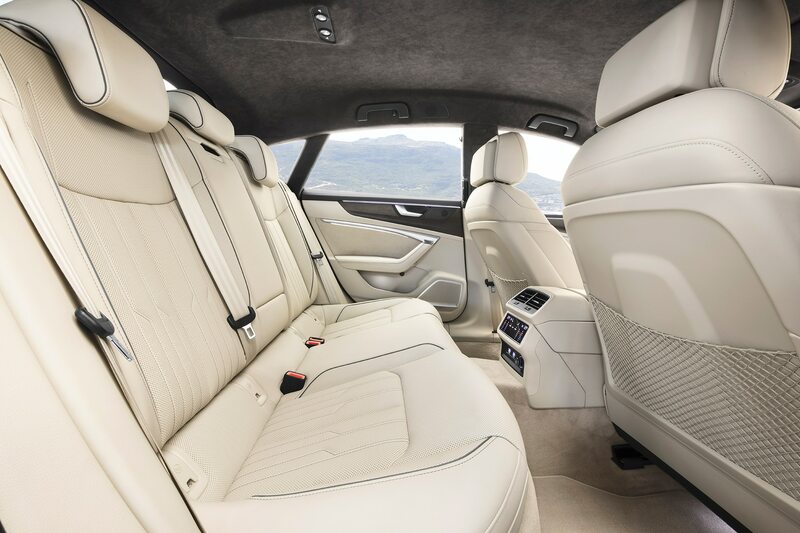 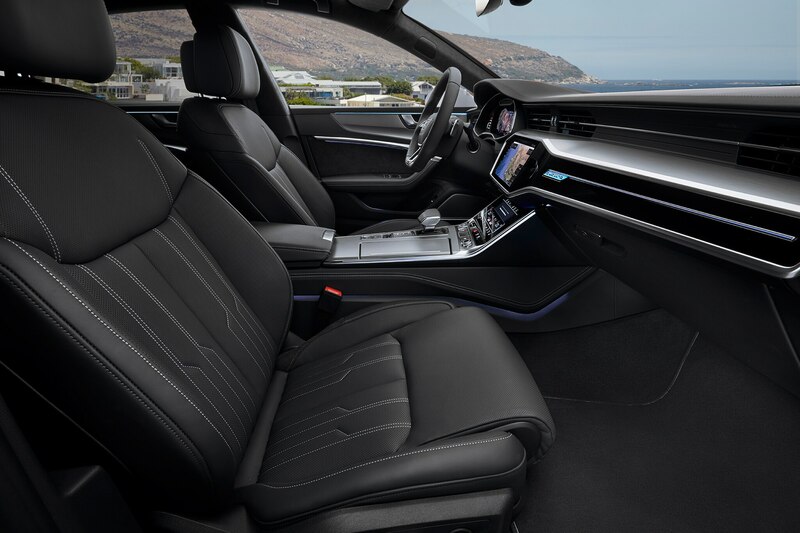 With a similar twin-screen setup to the new A8 flagship sedan, the A7’s cabin looks like it has been teleported from a not-too-distant future. 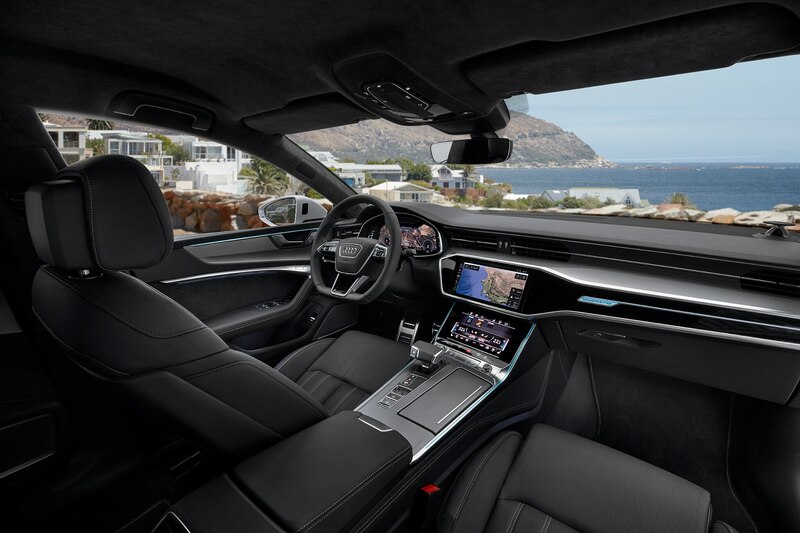 The entire information display ahead of the driver is digital, while the center stack boasts upper 10.1-inch and lower 8.6-inch displays, both operated as touchscreens with haptic feedback. 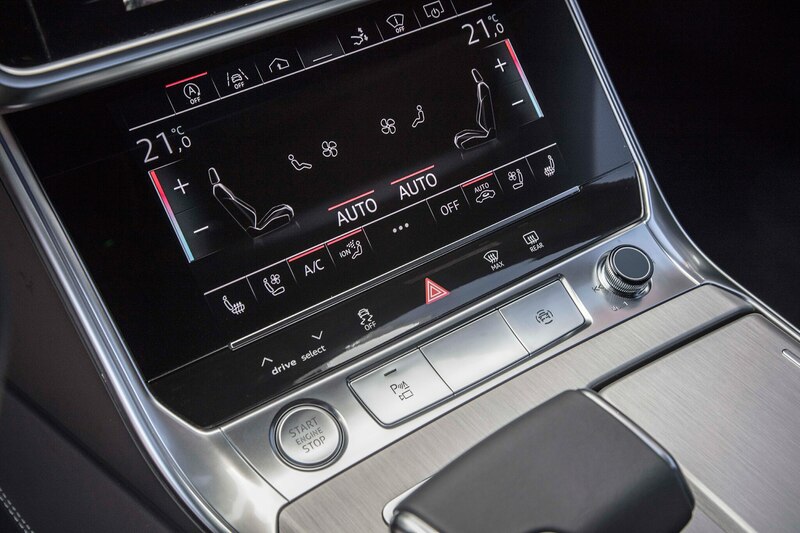 The upper screen is where you look for navigation and entertainment while the lower screen is dedicated to climate control functions and entering text inputs with a finger to direct the upper screen. 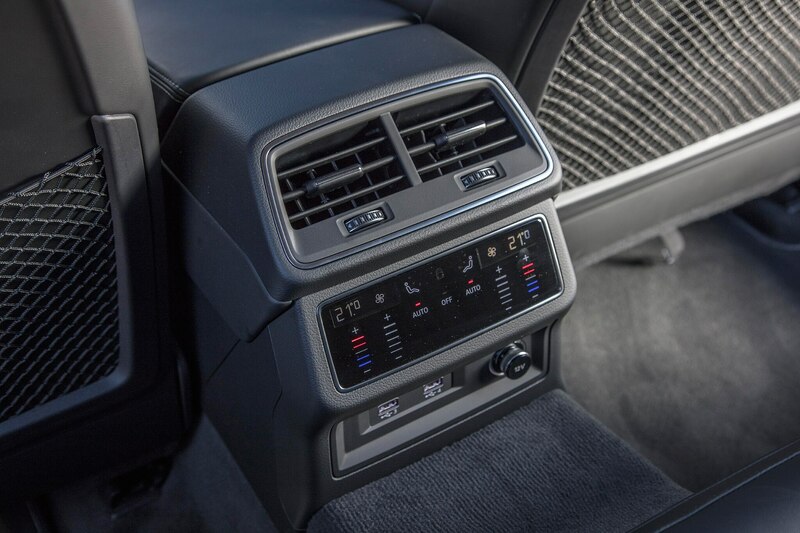 While the system looks very contemporary and stylish, we weren’t quite able to come to grips with its usability in the limited time we had with the car. 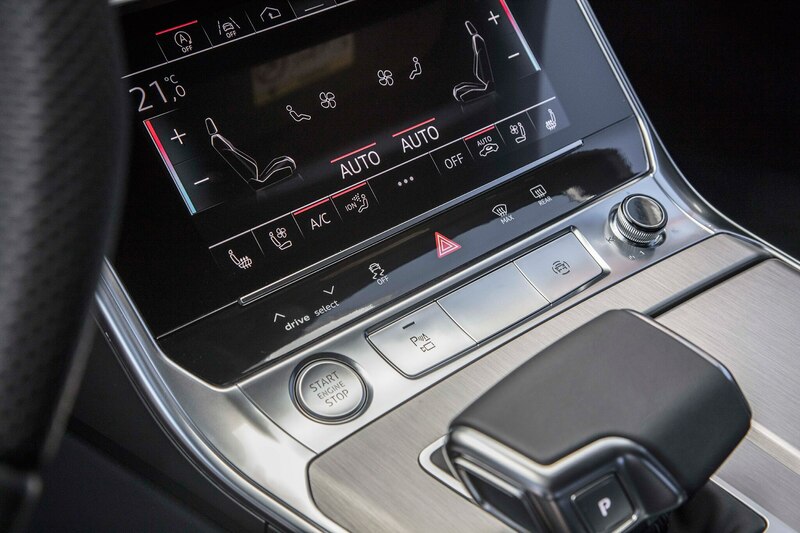 Audi expects that in normal operation, owners of A7s will find themselves actually futzing with screens very little, instead choosing to direct nearly every operation—from navigation input to adjusting the air conditioning—with voice commands that were not fully activated on our tester. 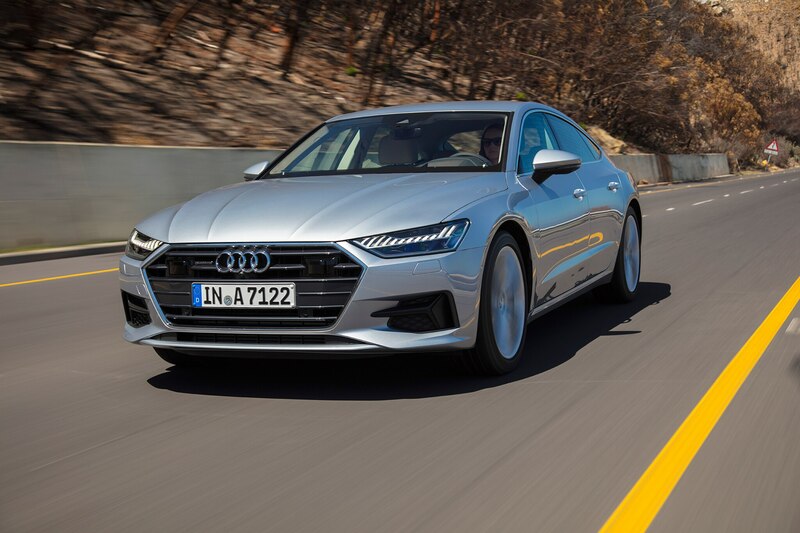 There’s some nifty tech underneath the 2019 A7 as well, like the active four-wheel steering system that turns the rear wheels in the opposite direction as the fronts for easier around-town driving at low speeds. 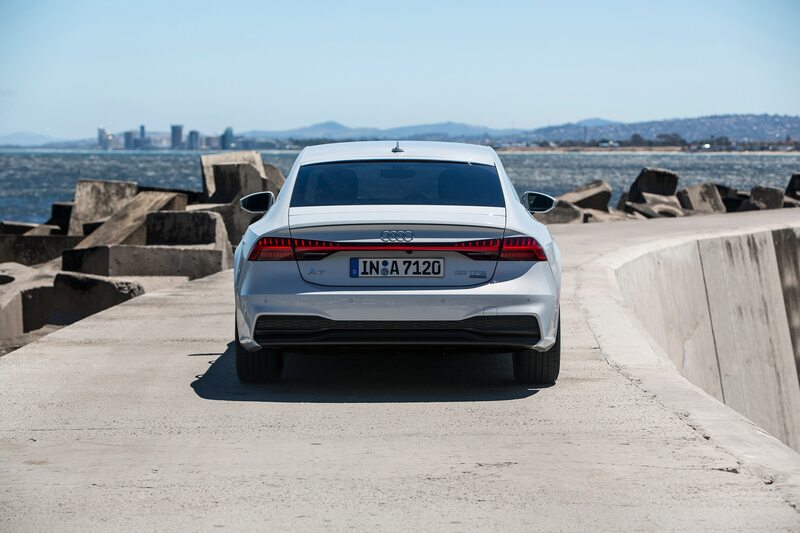 At freeway speed, rear wheels are turned in the same direction as the fronts for greater stability when cornering. 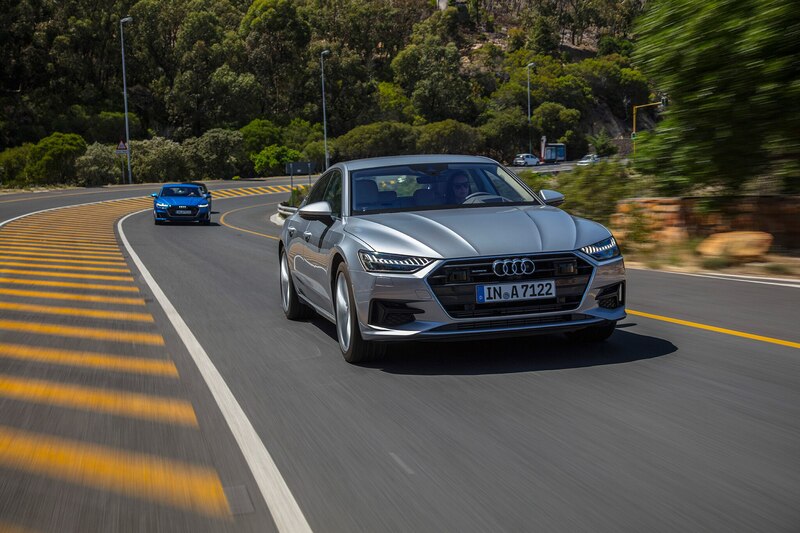 Unfortunately, our drive route was heavily traffic-choked, test speeds were generally low, and roads were mostly straight. 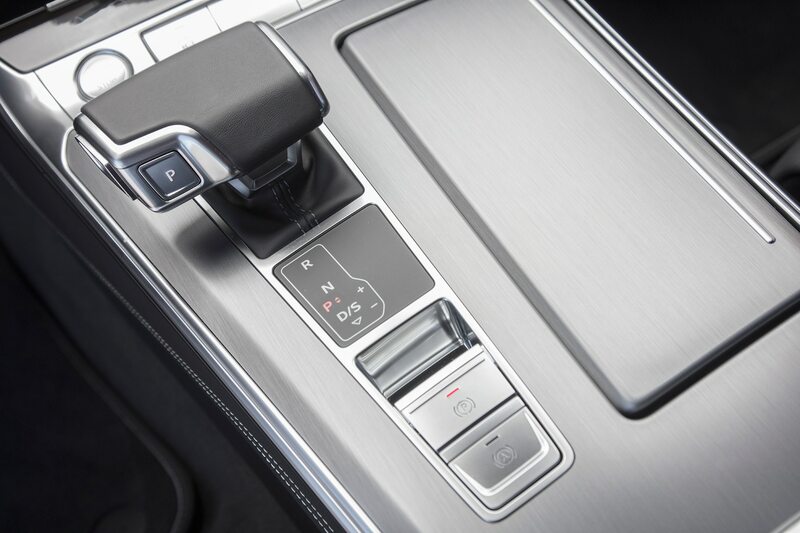 What’s more, this four-wheel-steering system has yet to be confirmed for the U.S. market. 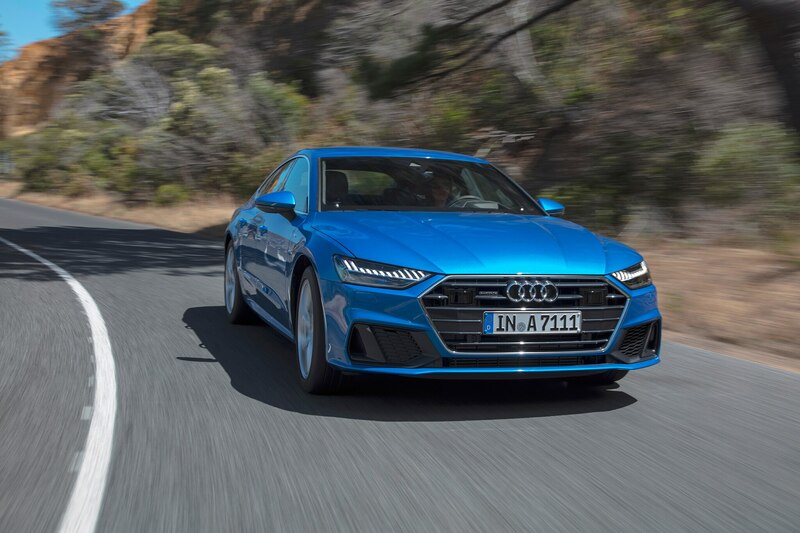 A torque-vectoring rear differential that will be available for the European market will not be equipped on U.S.-spec cars. 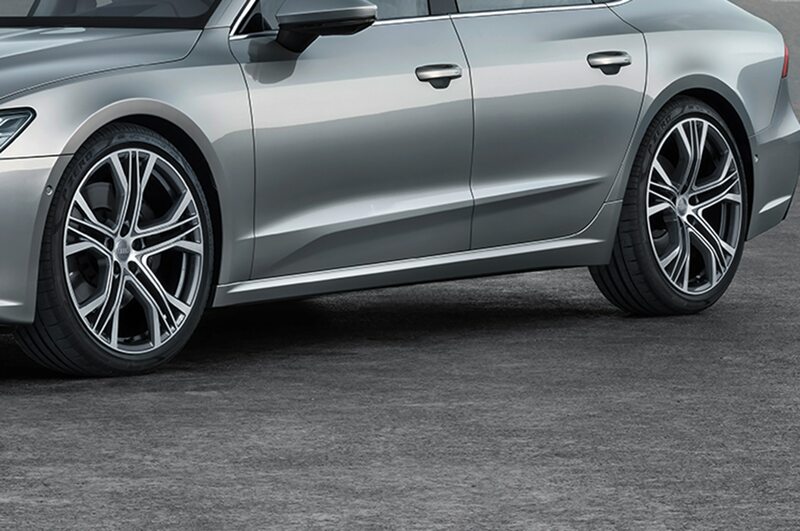 Steel and optional air spring suspension should both be available when the car launches stateside towards the end of 2018. 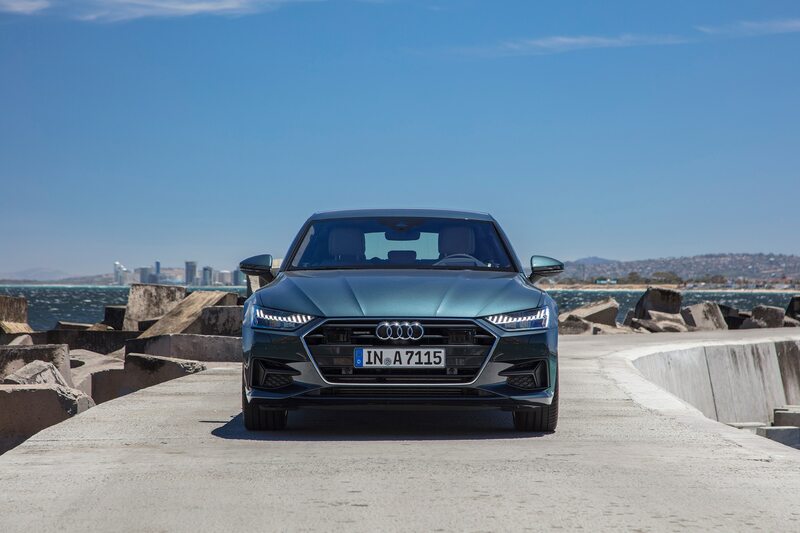 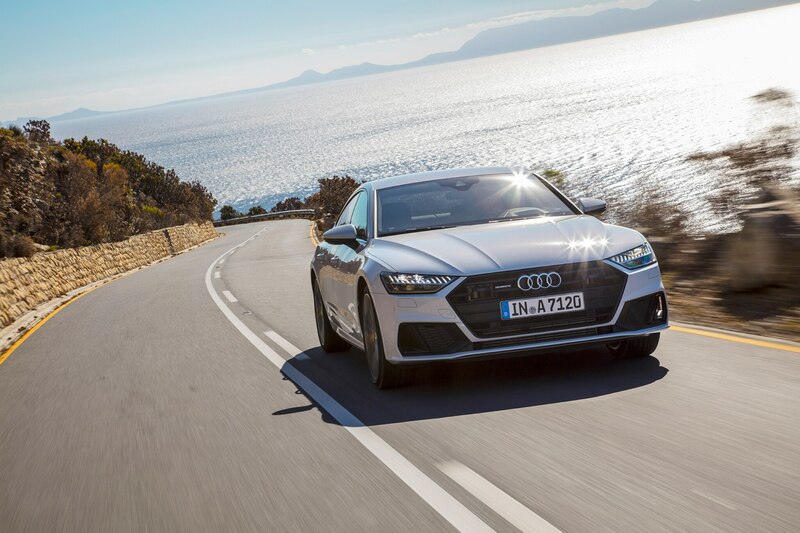 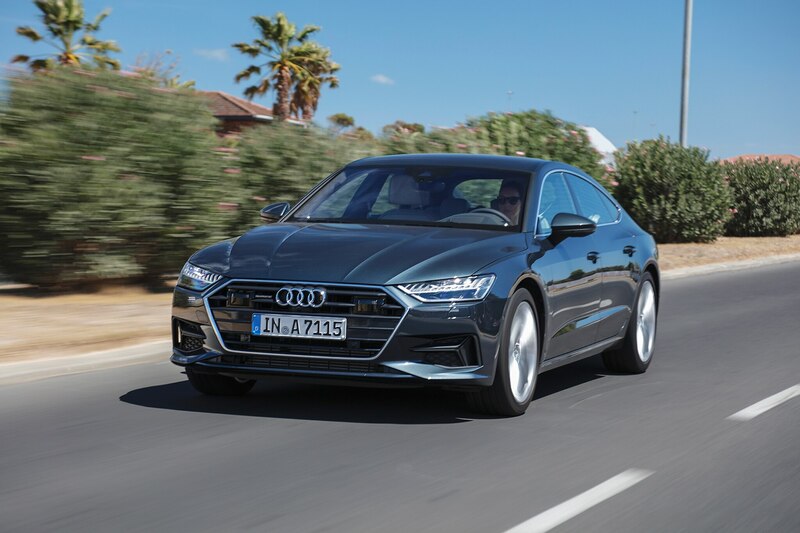 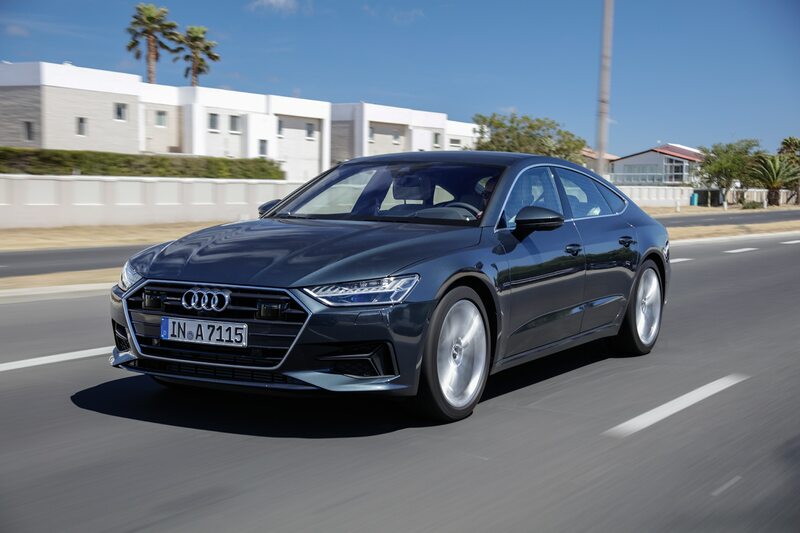 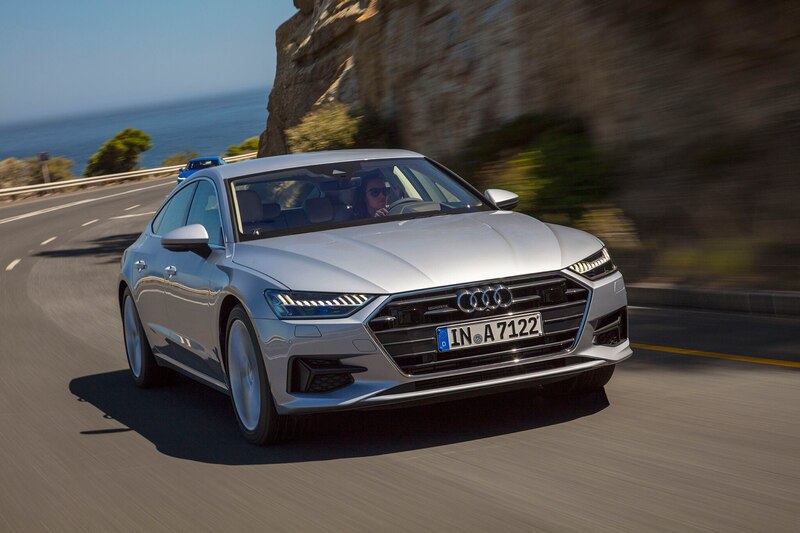 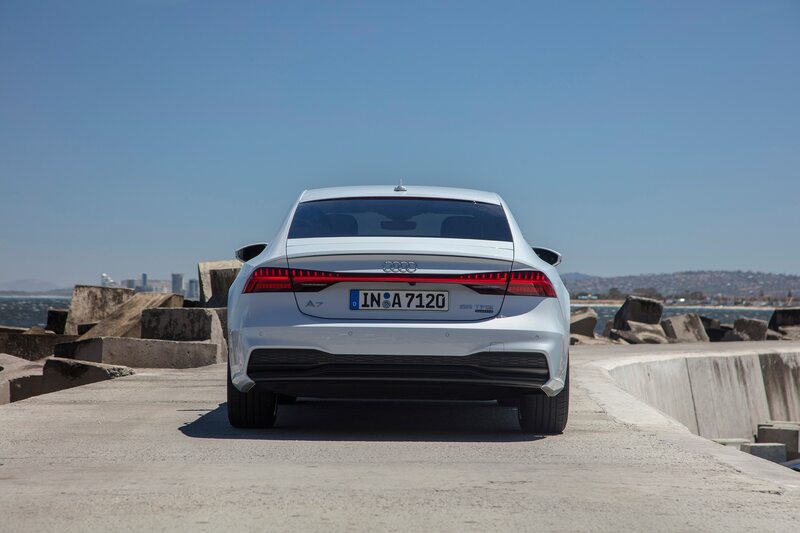 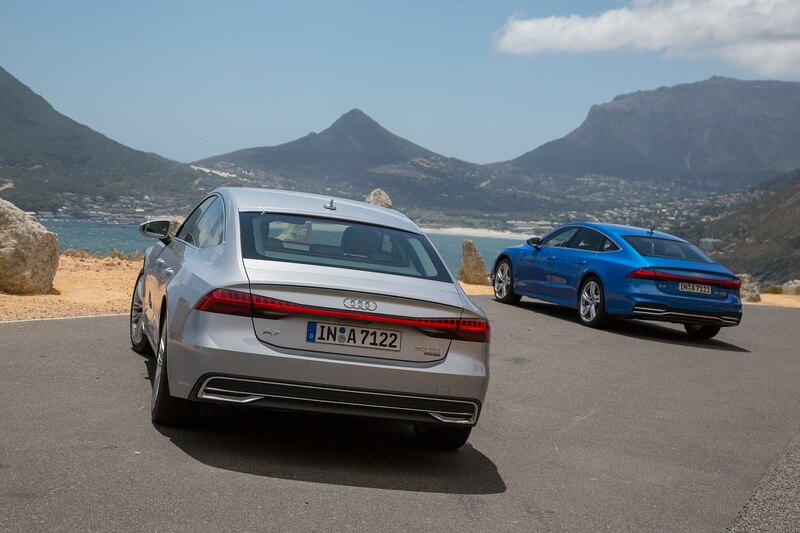 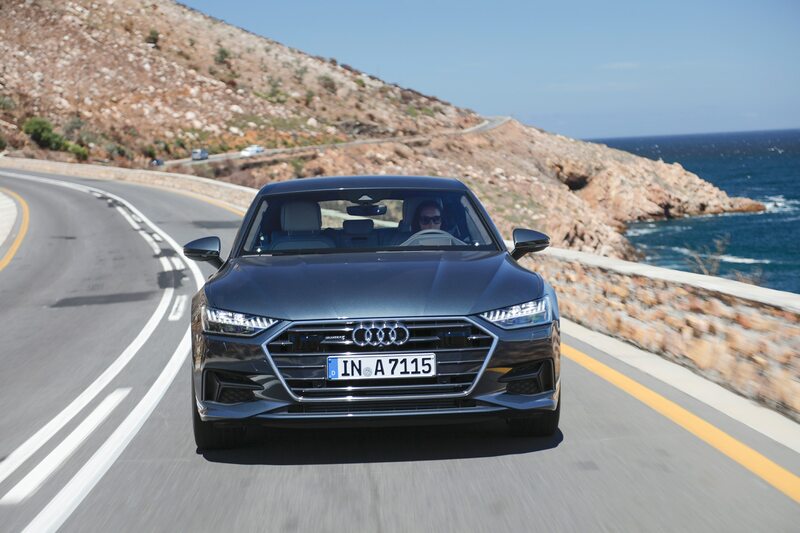 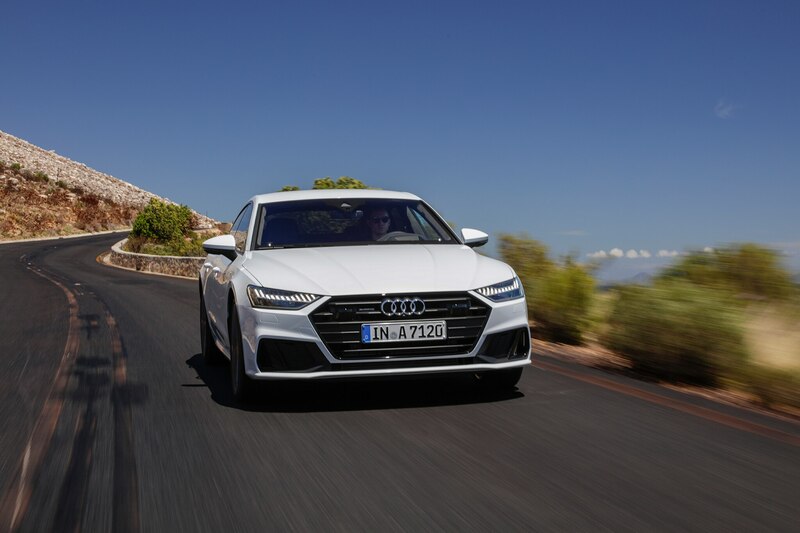 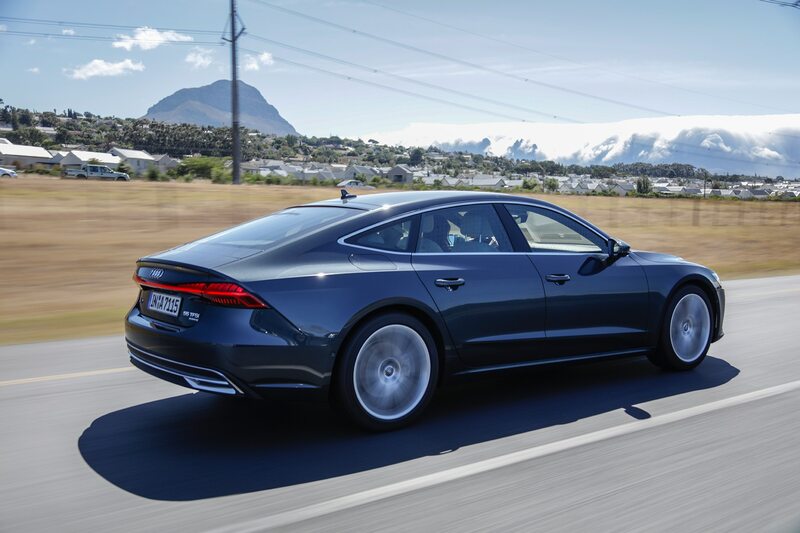 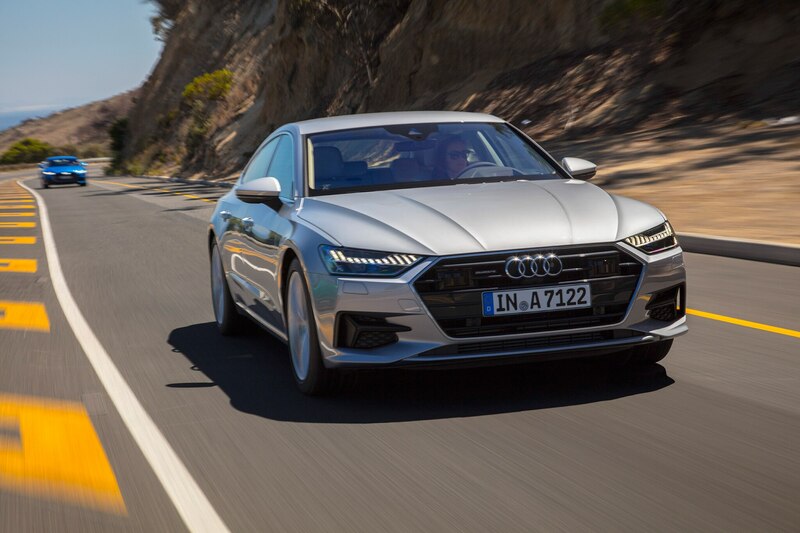 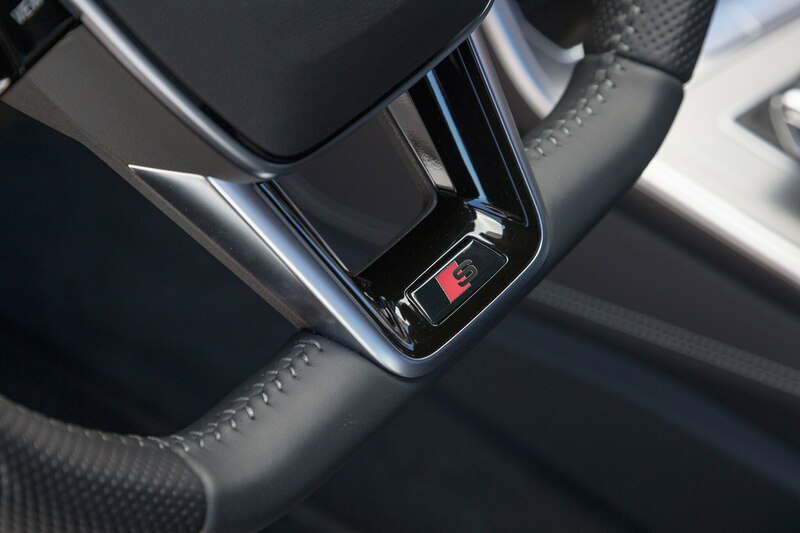 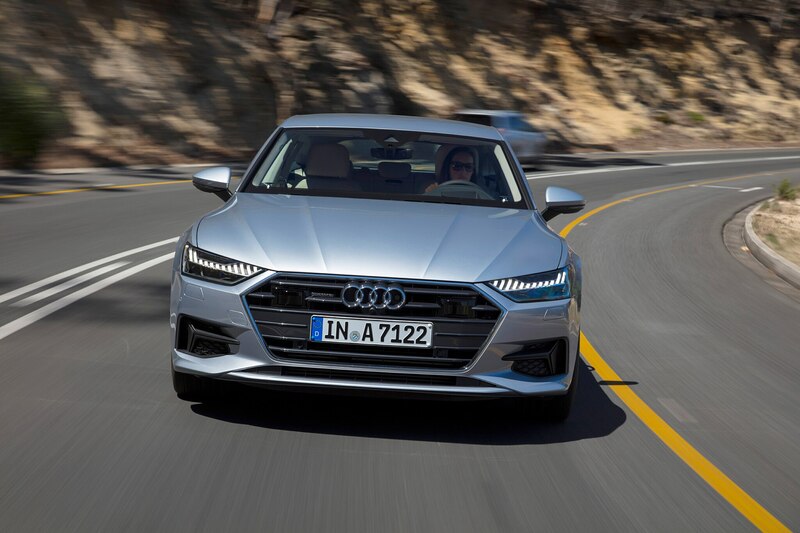 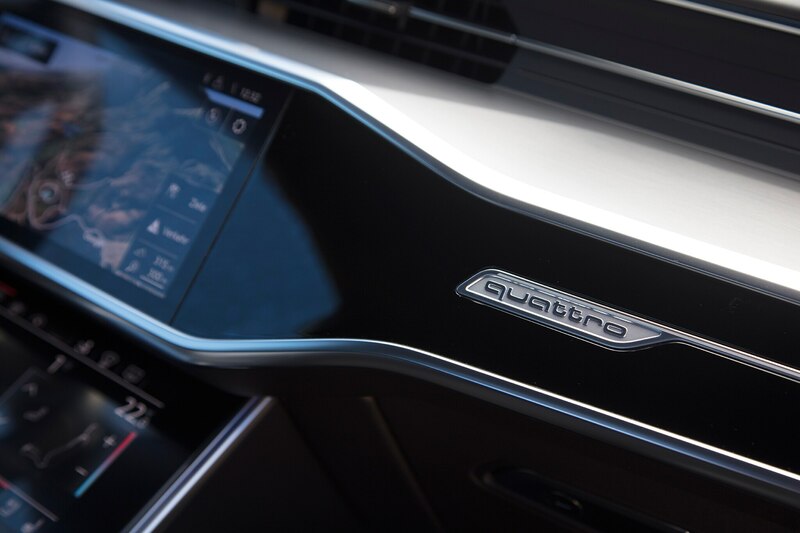 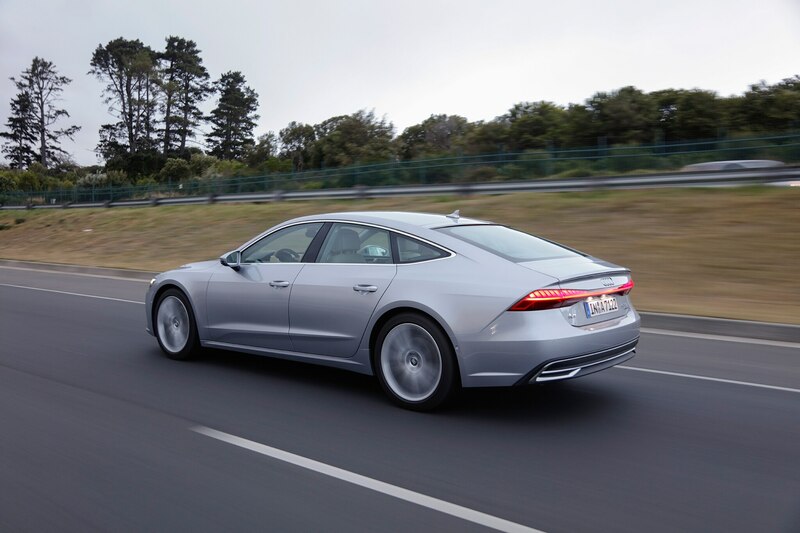 Audi also says that up to 39 new driver assistance systems will be available in the European A7 Sportback, including Audi parking pilot, which will allow autonomous parallel and straight-in parking, though neither system was available to test during our time with the car. 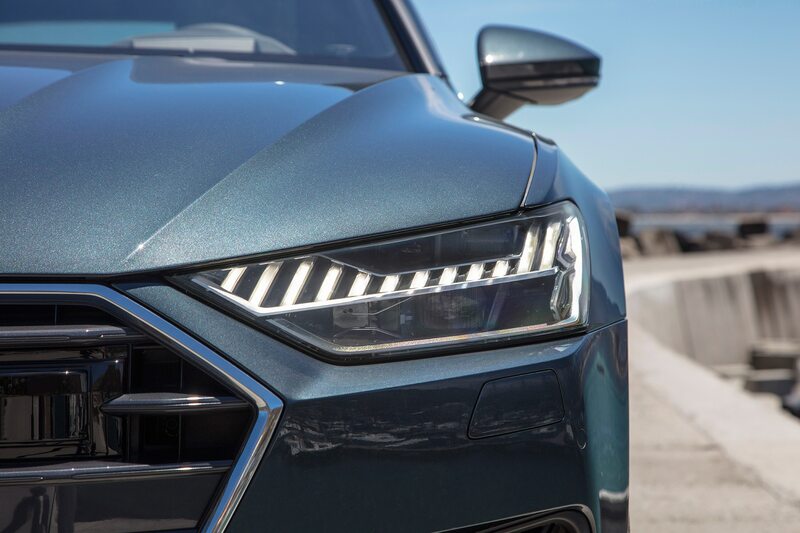 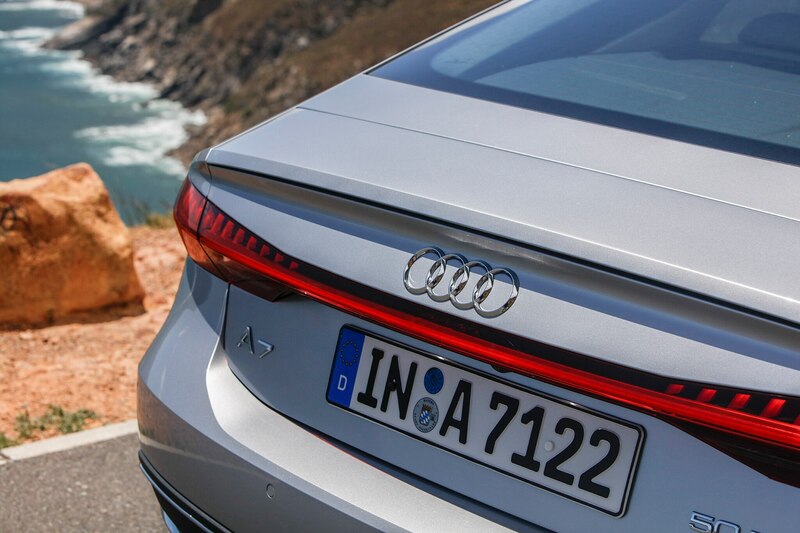 Lidar and radar sensors, along with a camera are prominently located on the nose of the A7 to control various systems, including Audi’s pre-sense warning features, lane-change warning and crossing assist, which detects objects crossing in front of the vehicle. 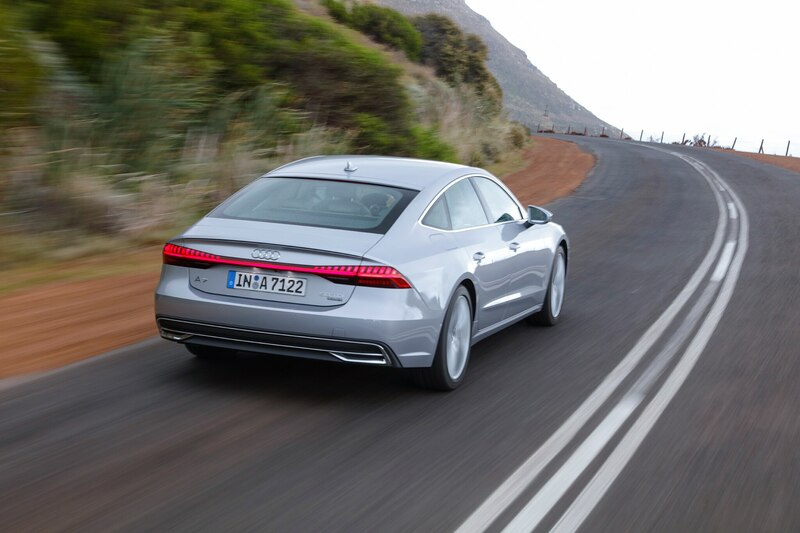 The only system we spent much time with as the lane-keeping assist, which liked to wait until nearly drifting out of a lane before engaging. 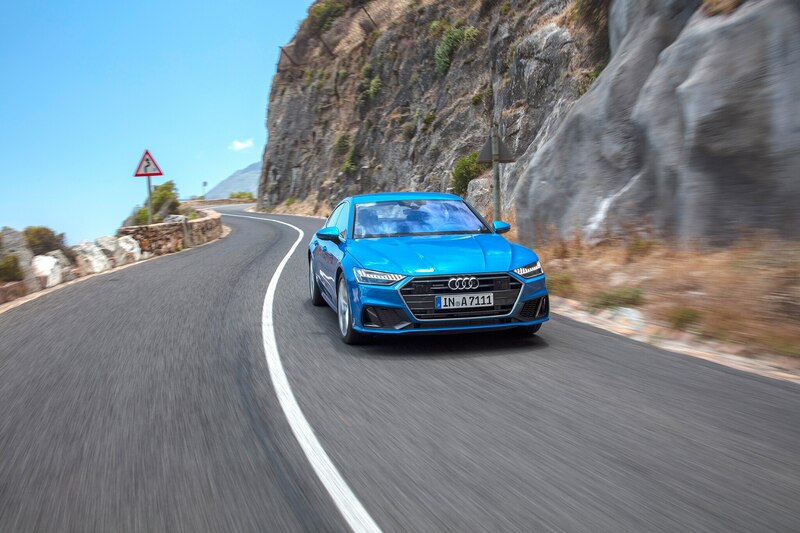 Power our tester was Audi’s 3.0-liter TFSI turbocharged gasoline V-6. 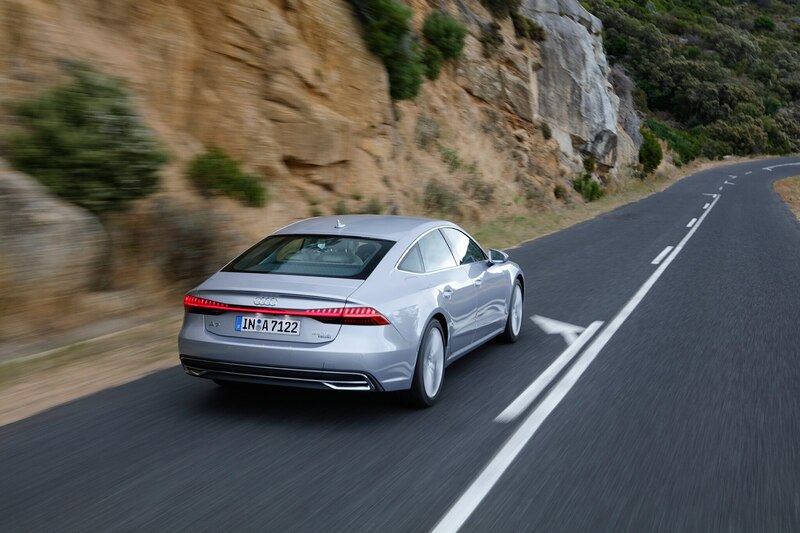 With 340 hp and 369 lb-ft of torque, the A7 felt lively in the few instances that we were able to put the throttle down. 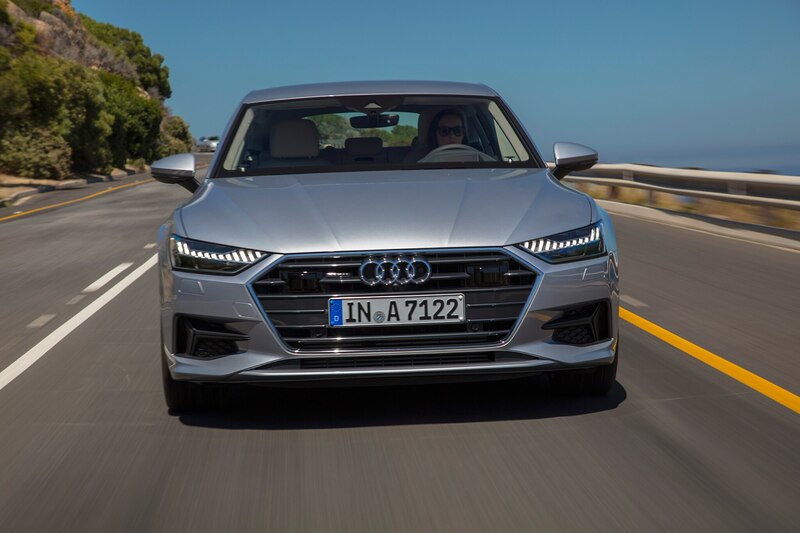 Audi expects an EPA rating of somewhere around 34 mpg in combined city and highway driving and estimates a 0 to 62 mph time in the 5.7-second range and a top speed of 155 mph. 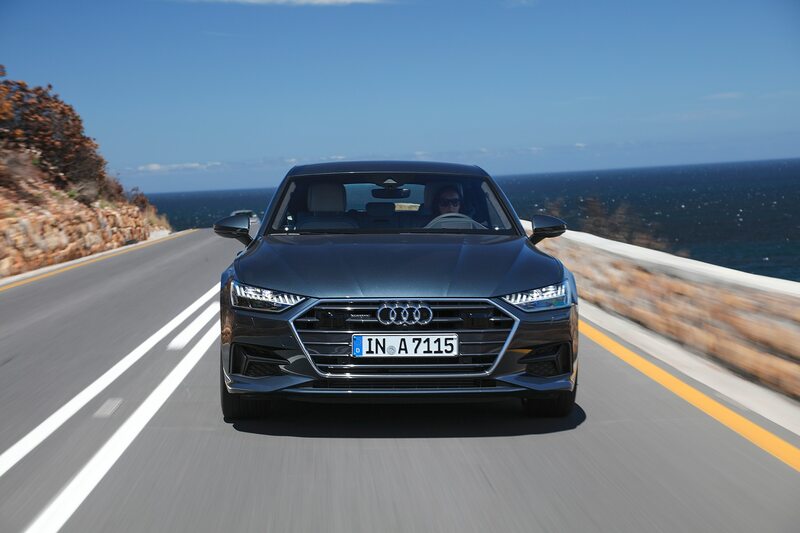 The gasoline engine is paired to Audi’s seven-speed S tronic transmission, which worked fine in our mostly low-speed city driving. 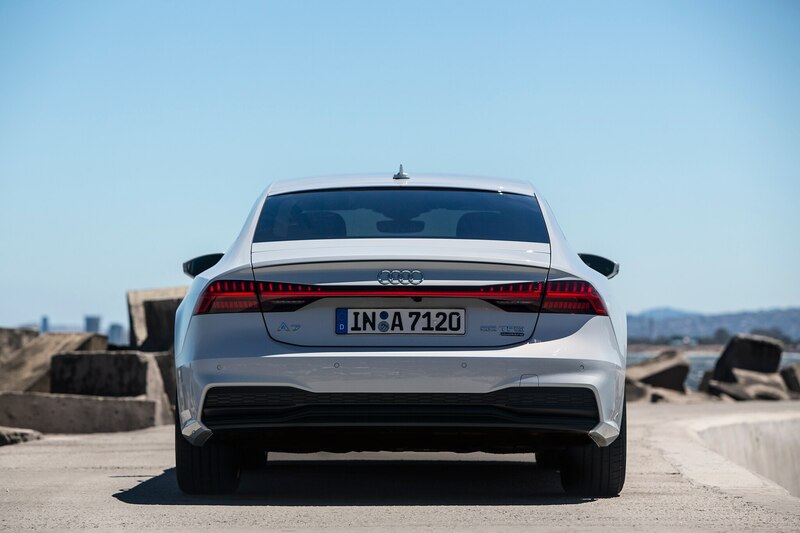 The A7 borrows the new A8’s belt alternator starter, which is paired to a rear-mounted 10 kW/h electric battery and allows for buttery-smooth stop/start engine operation around town as well as allowing for the gasoline engine to shut down in certain coasting circumstances, helping to save fuel. 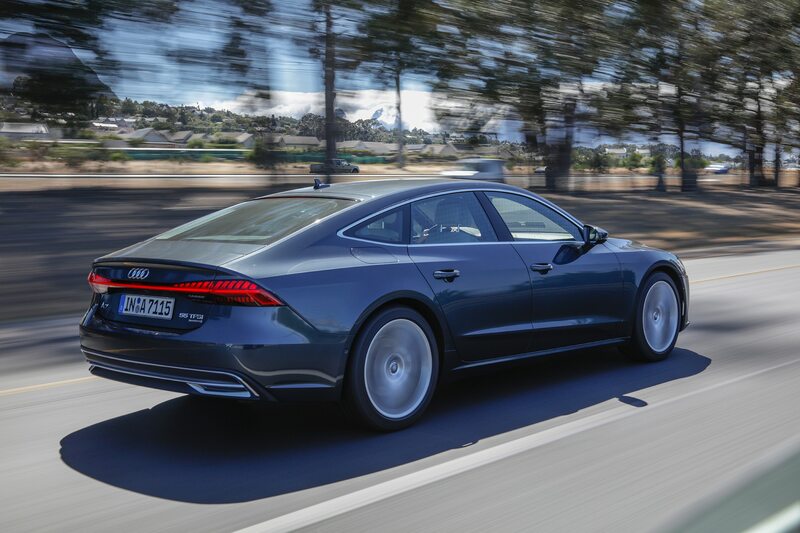 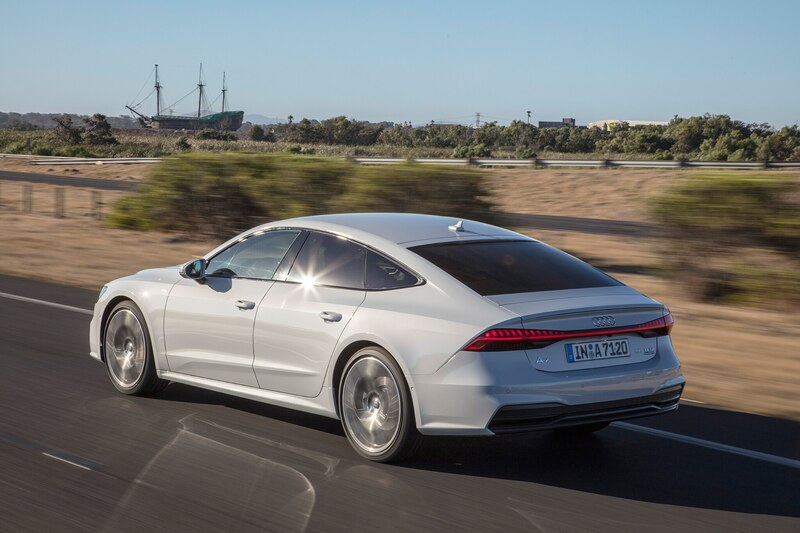 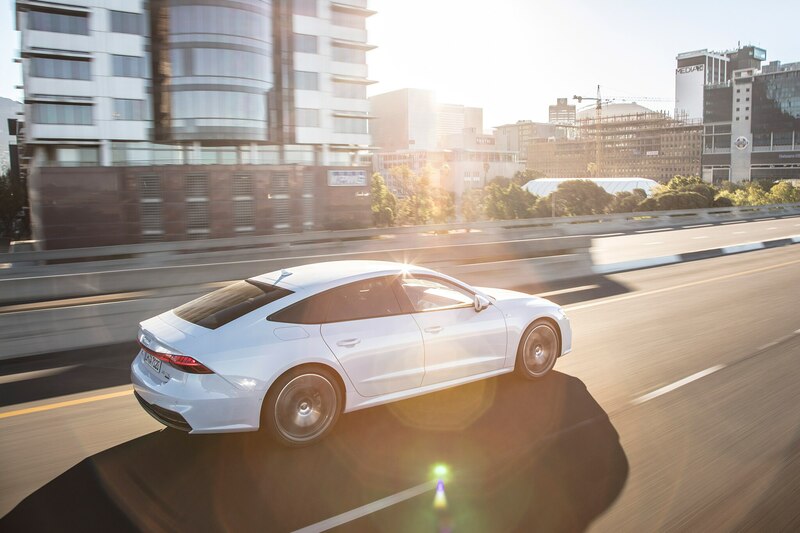 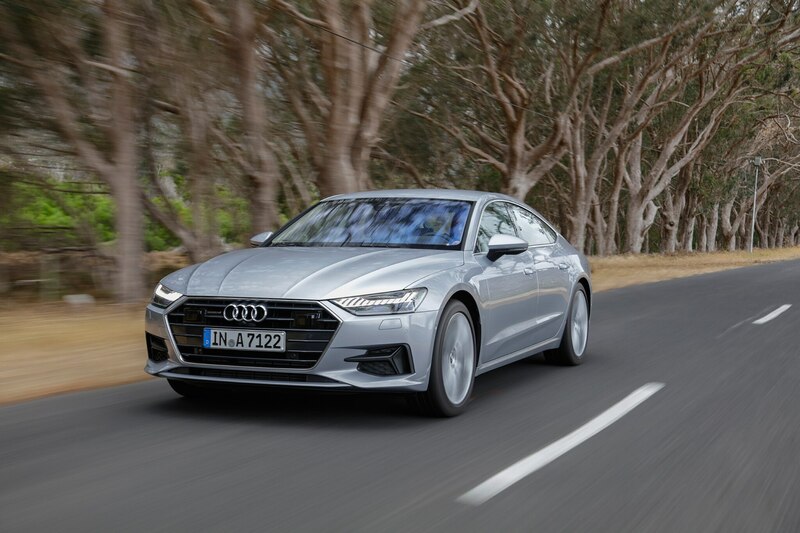 While we found the 2019 Audi A7 Sportback to be a willing and stylish companion, generally striking a nice balance between sport and luxury, we’ll need time with a U.S.-spec car on U.S. roads to truly judge the model’s performance. 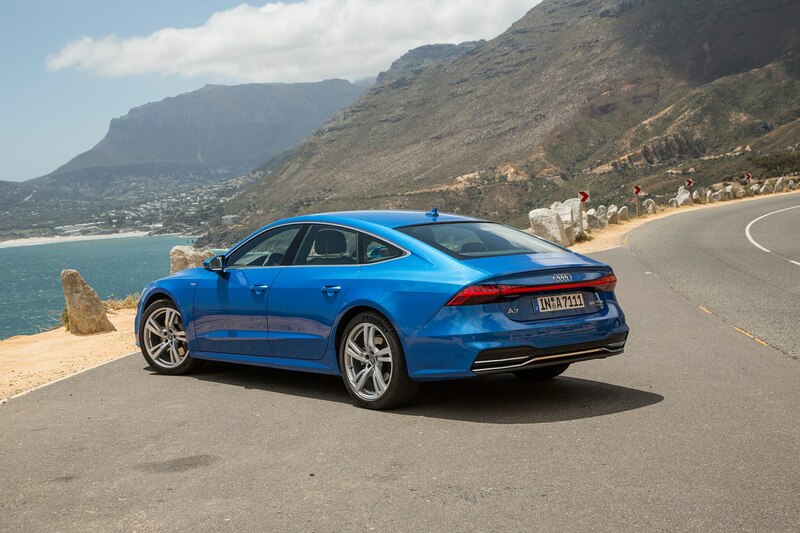 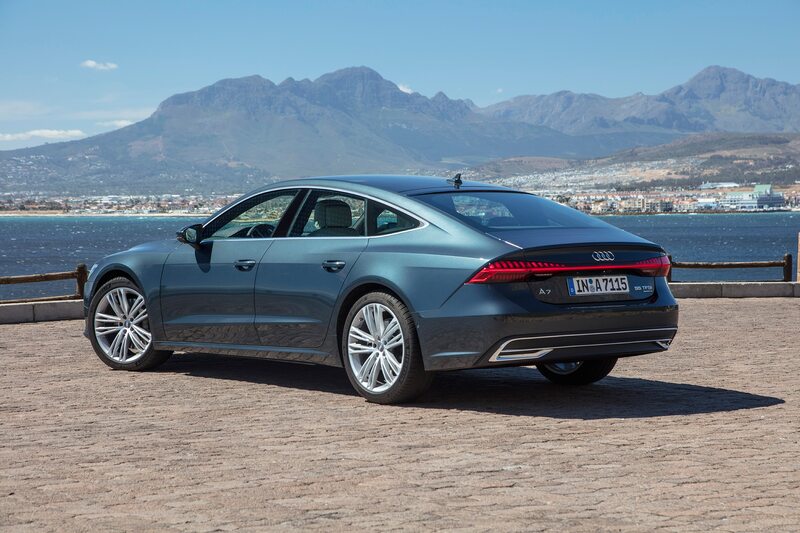 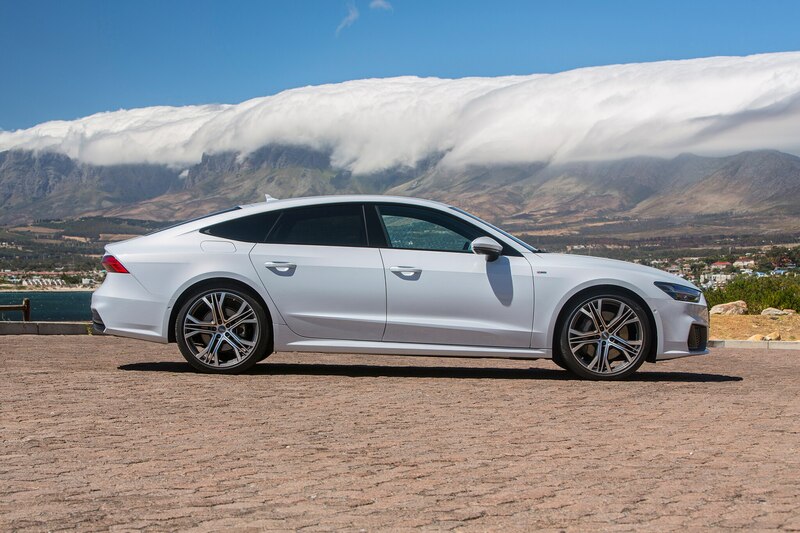 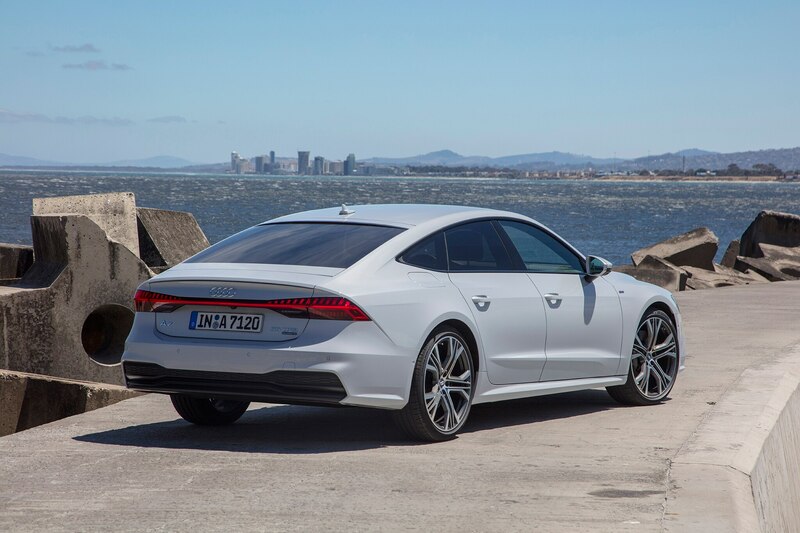 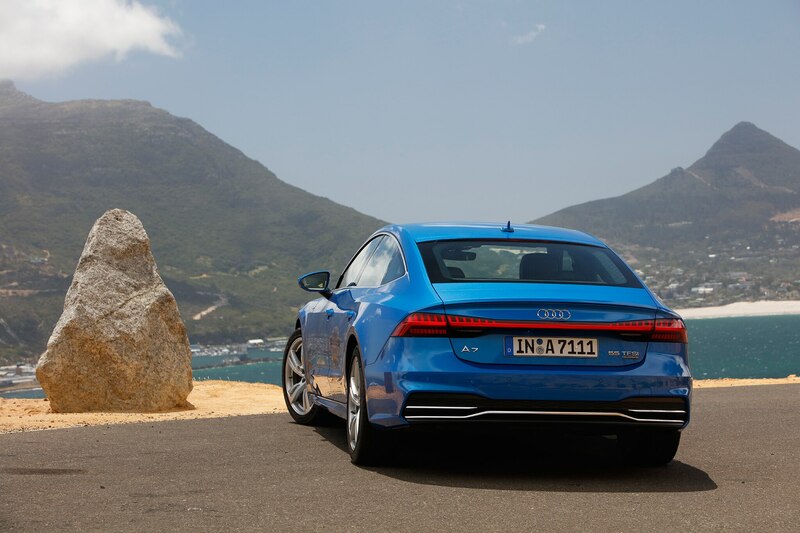 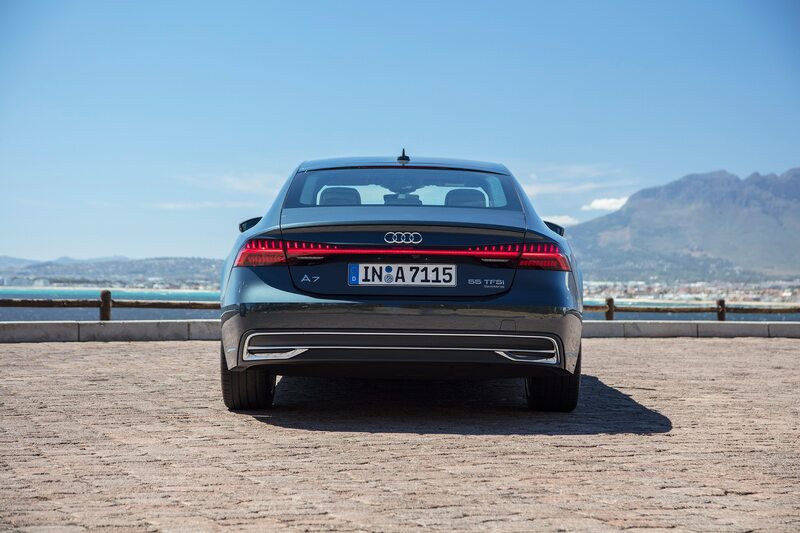 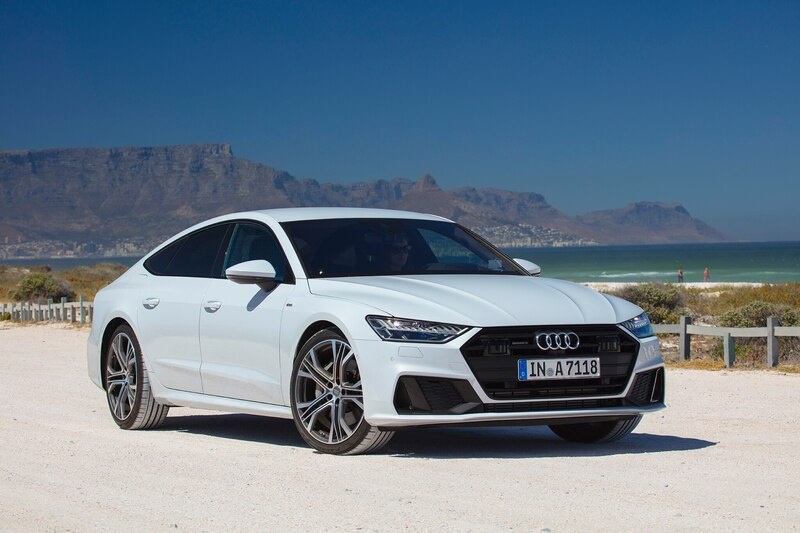 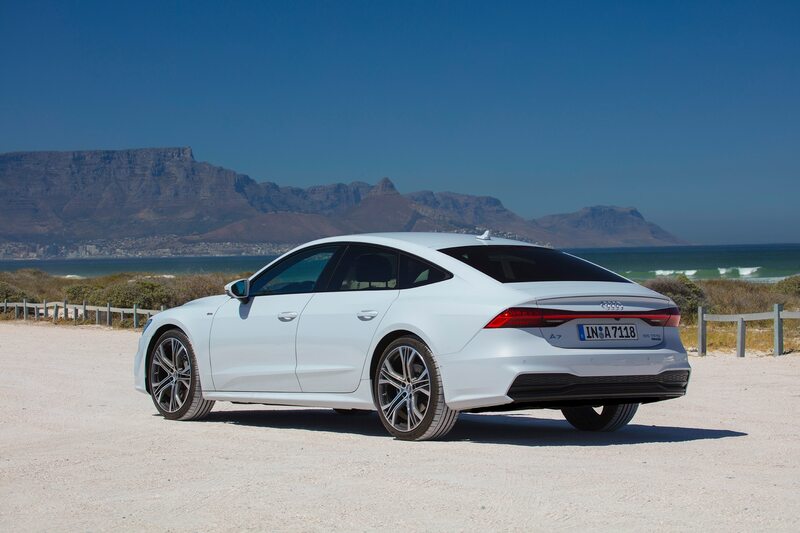 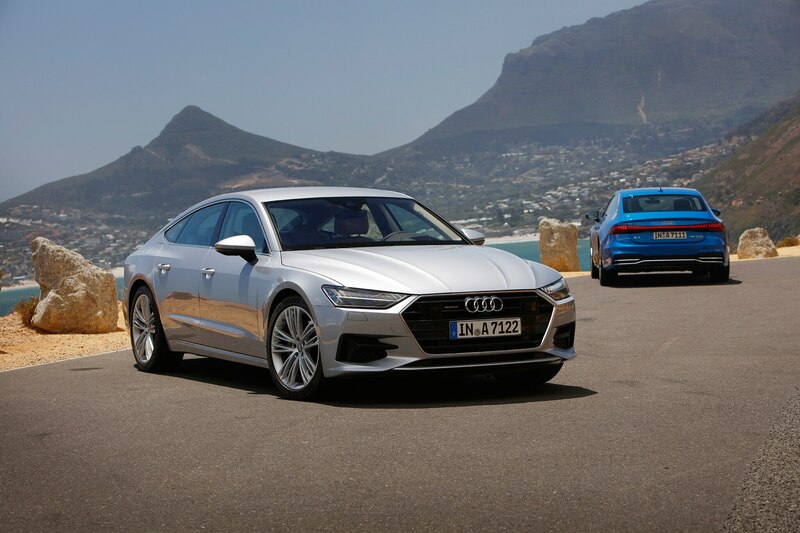 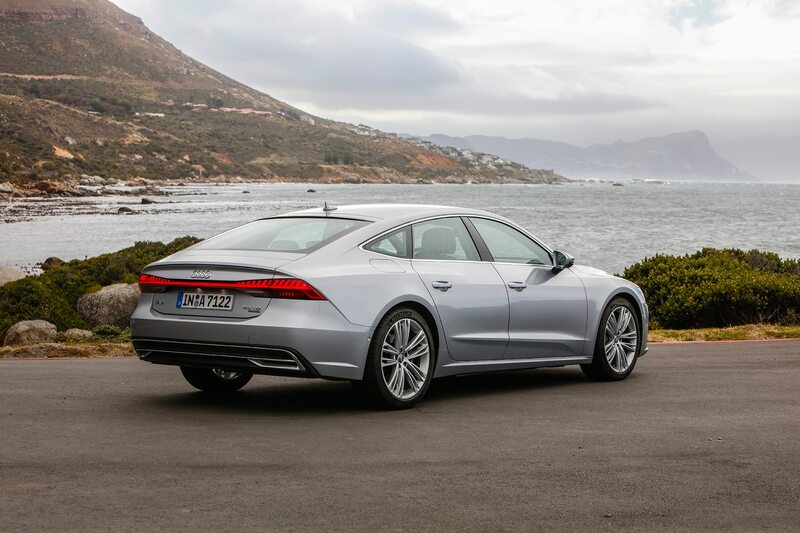 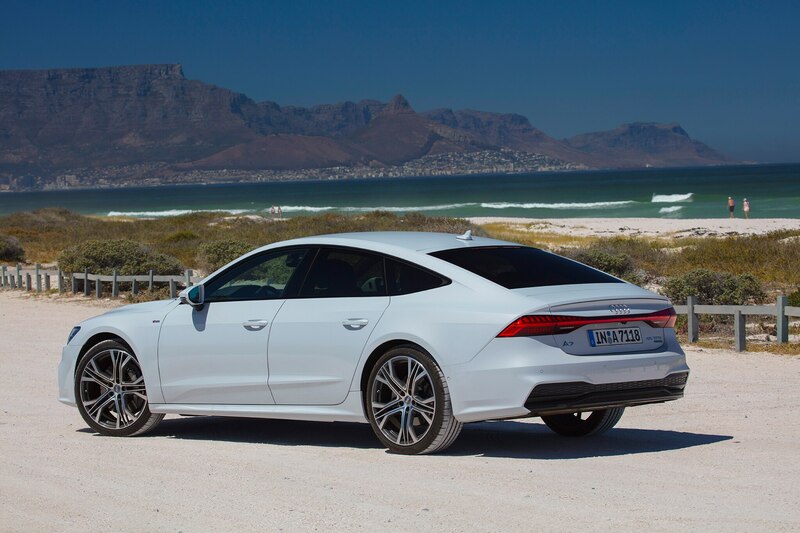 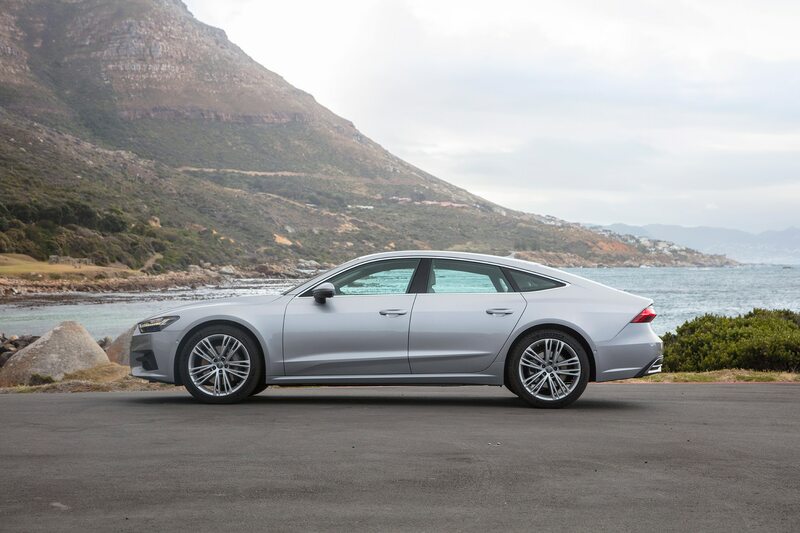 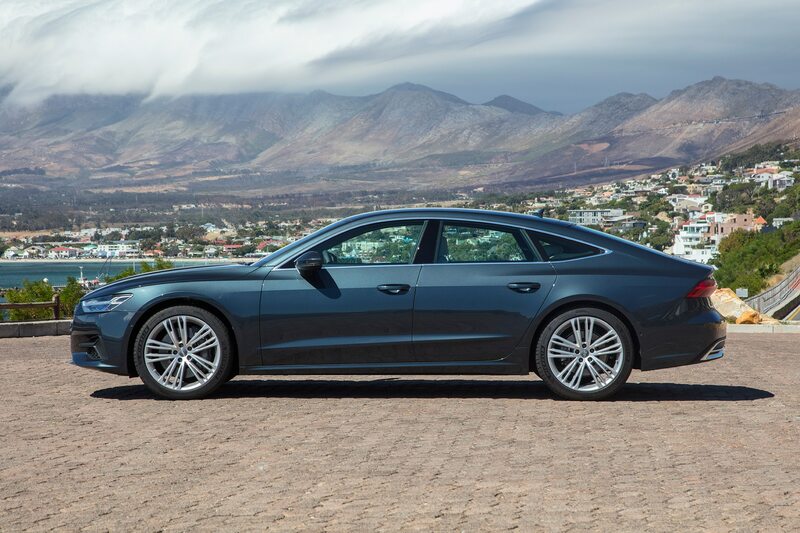 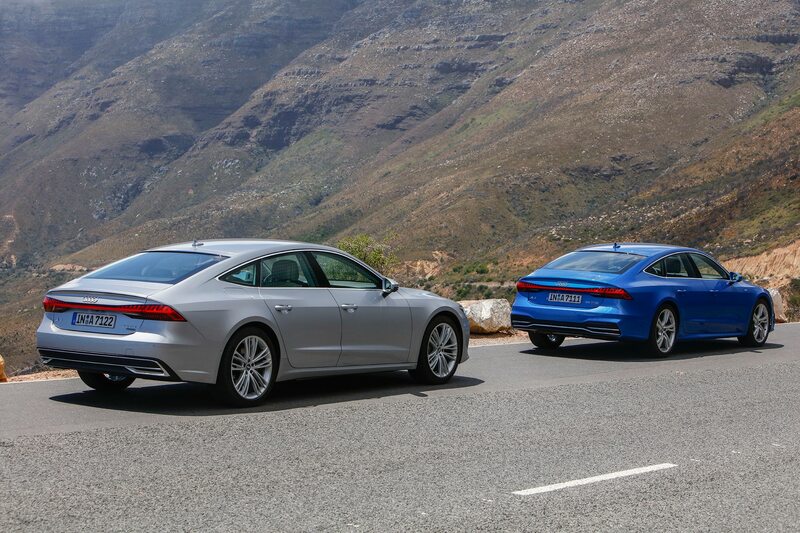 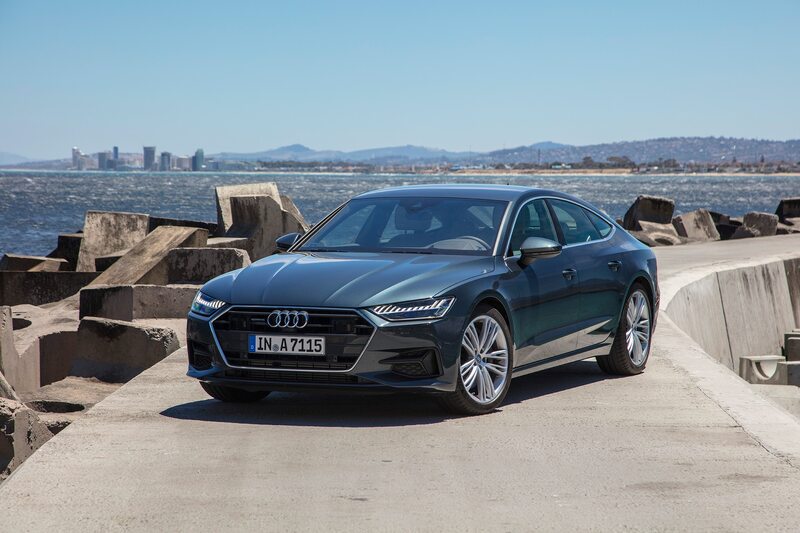 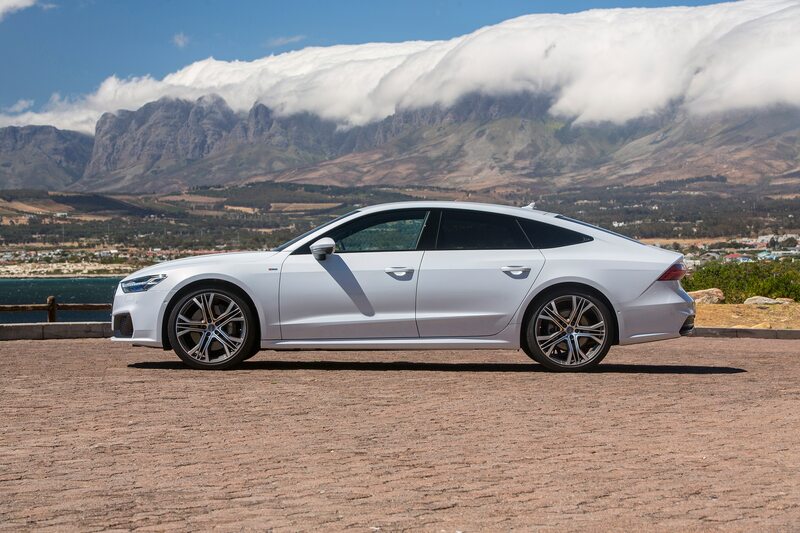 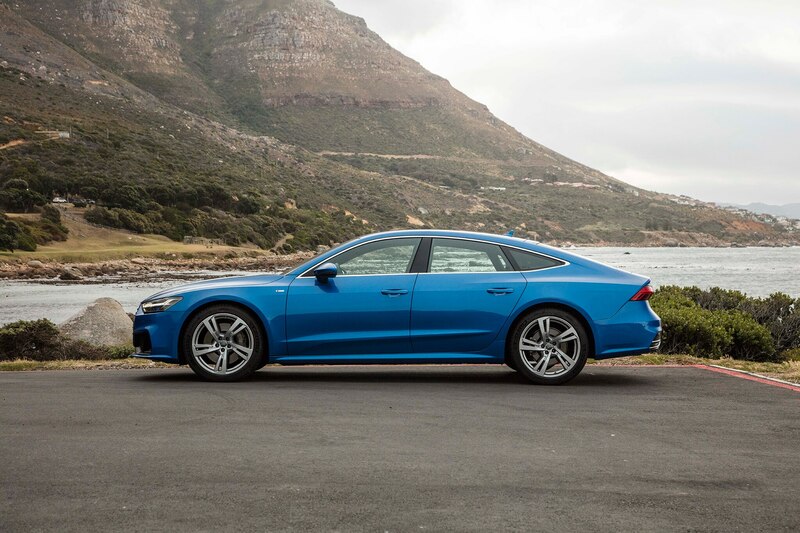 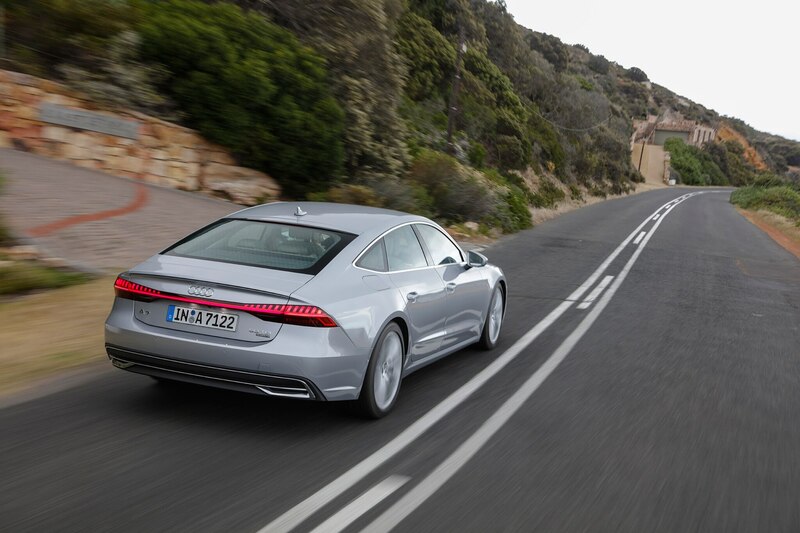 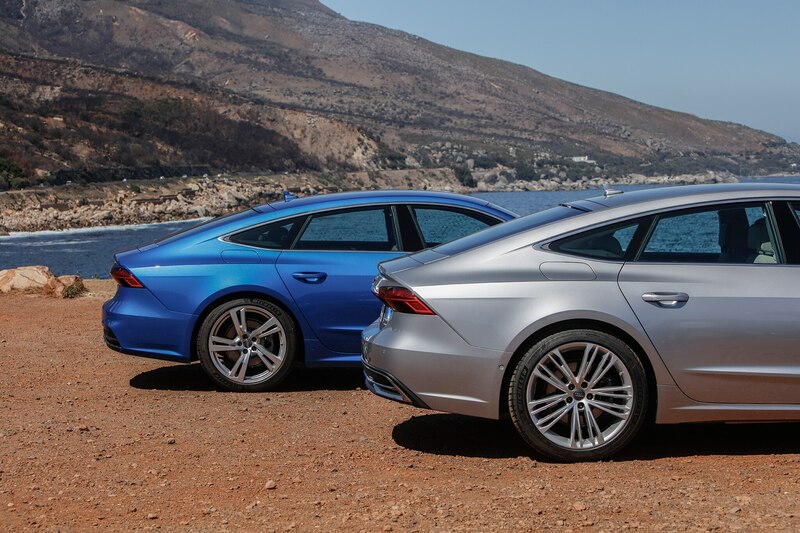 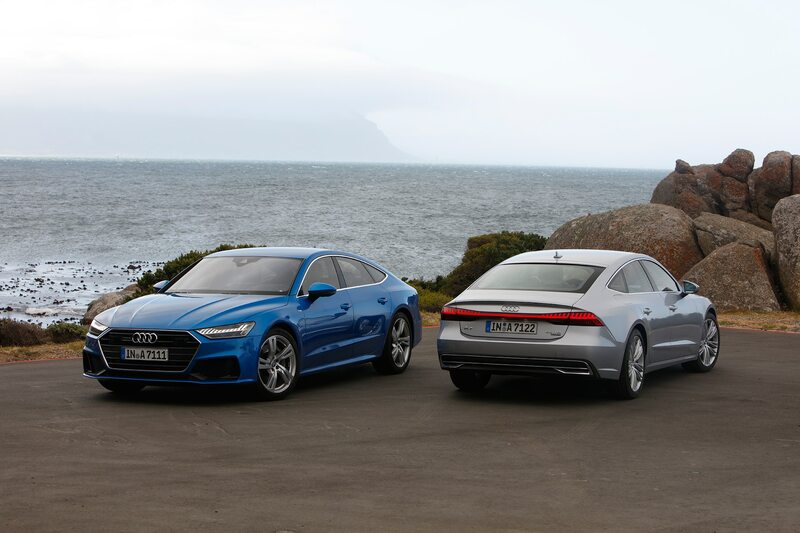 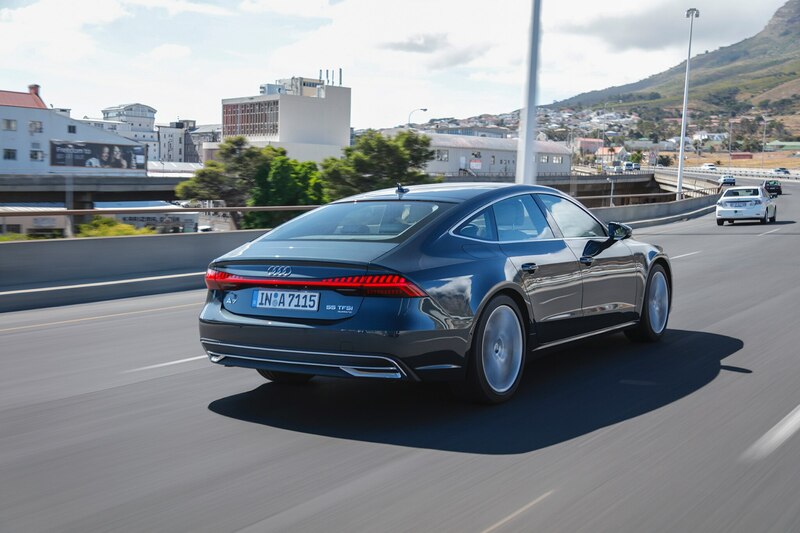 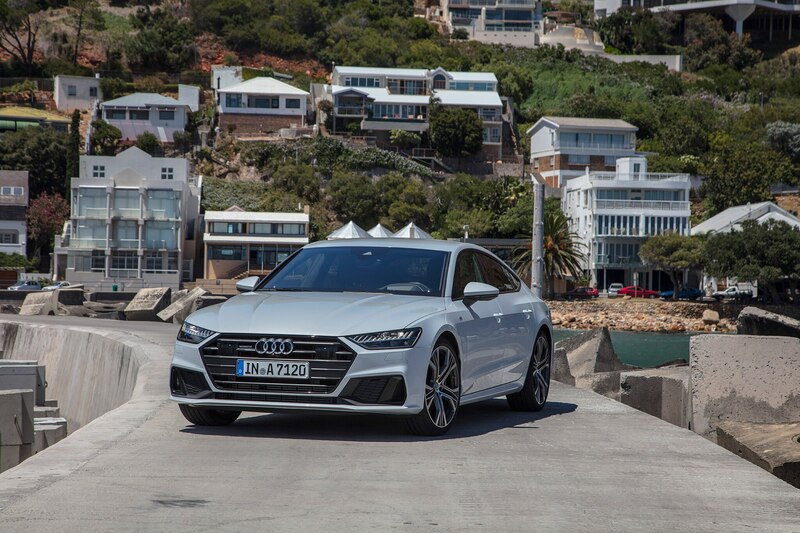 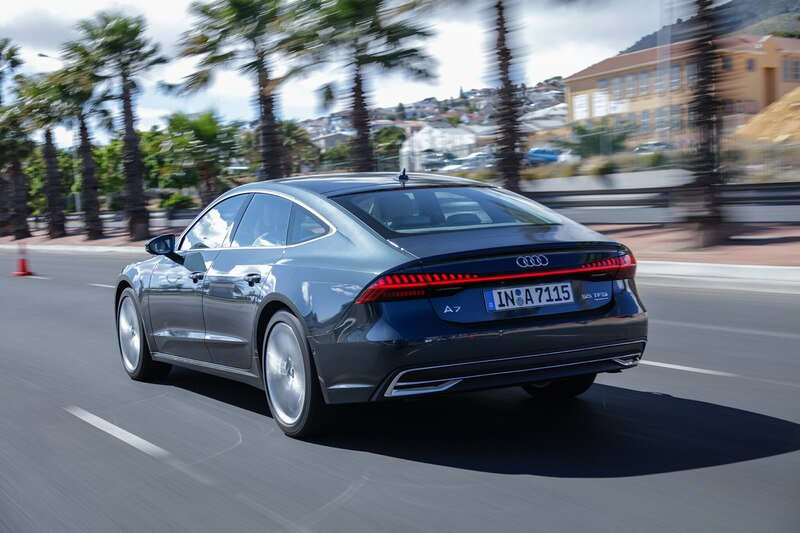 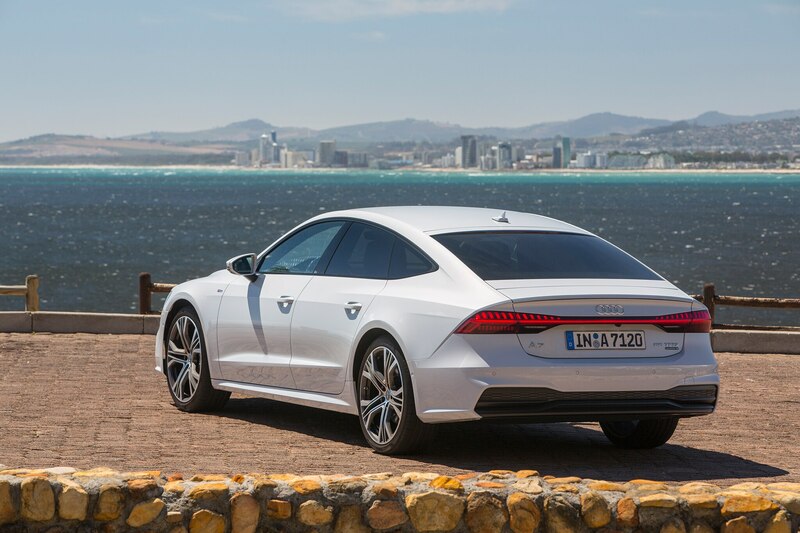 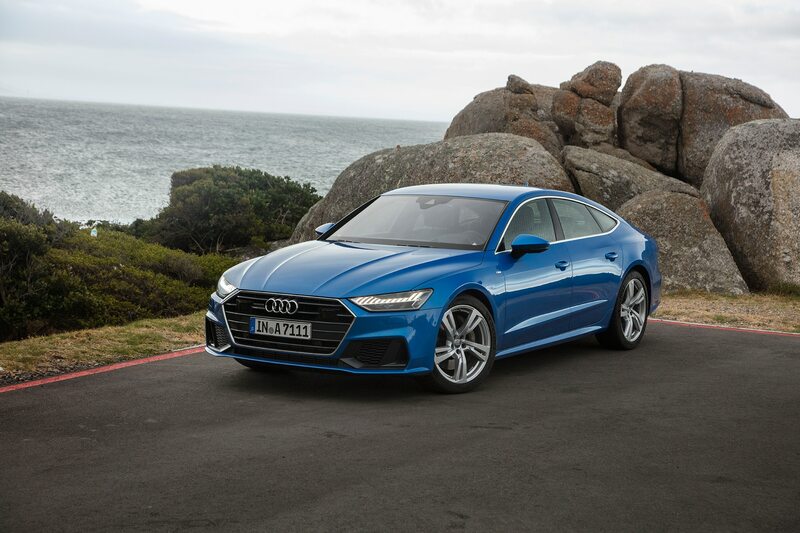 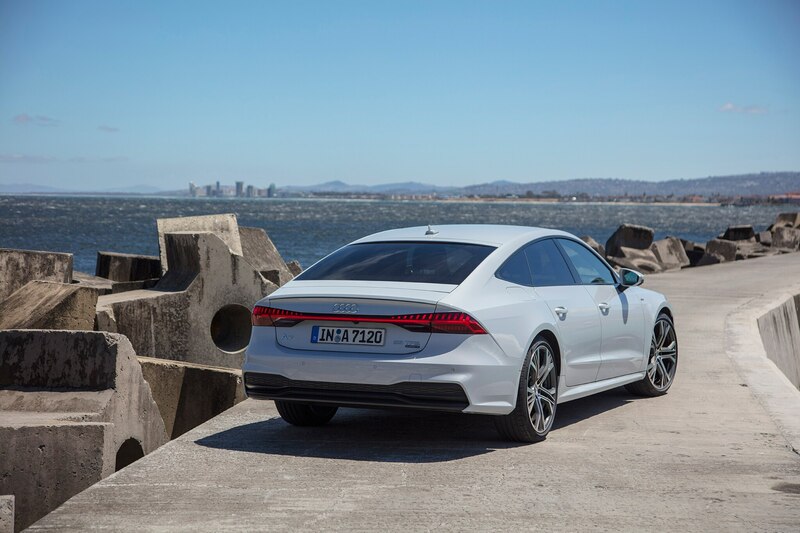 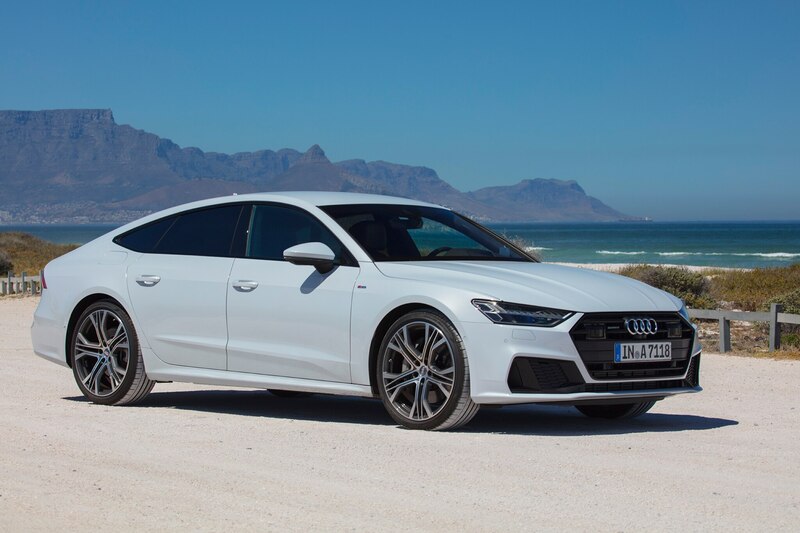 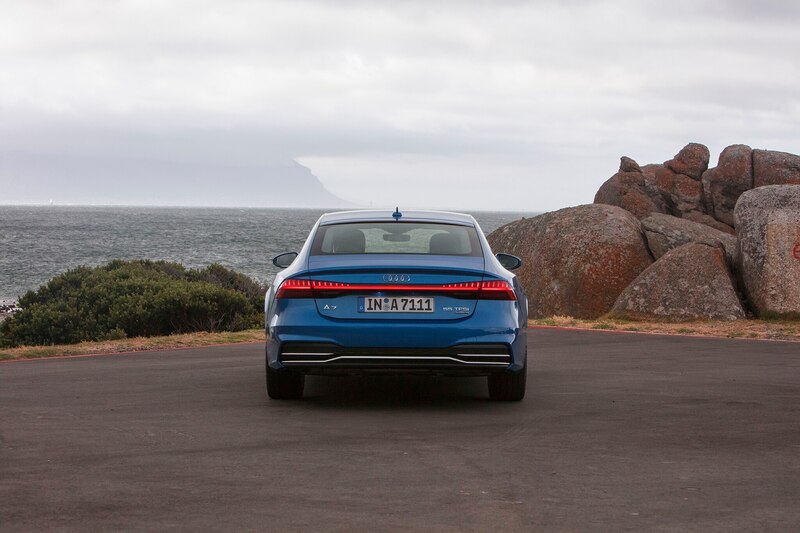 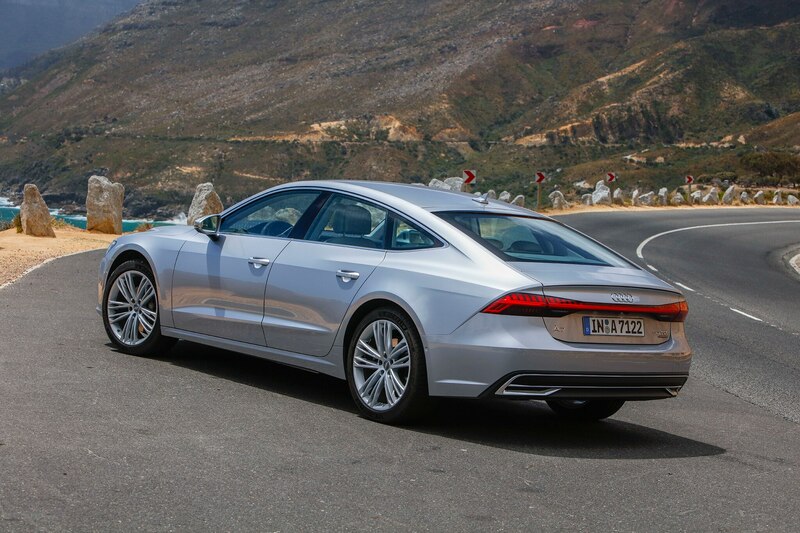 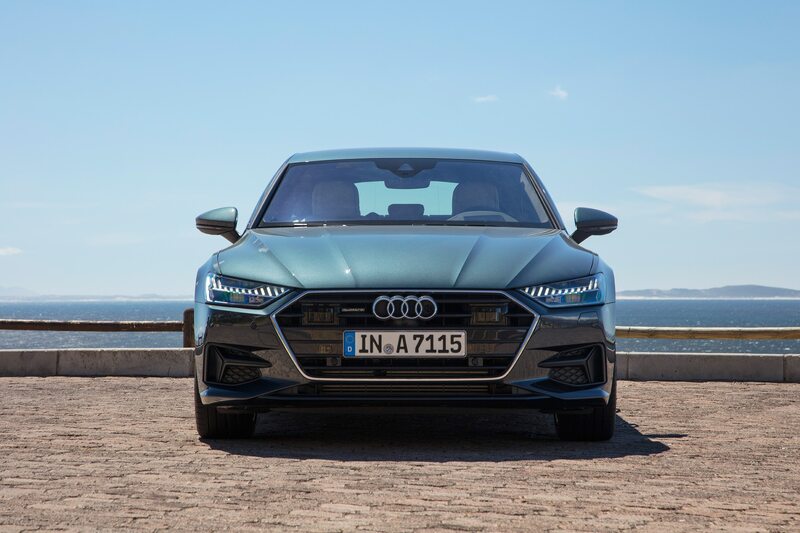 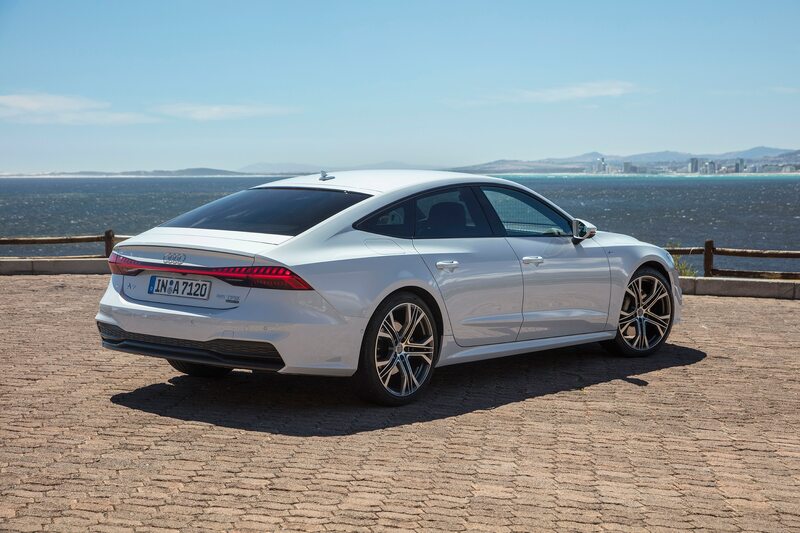 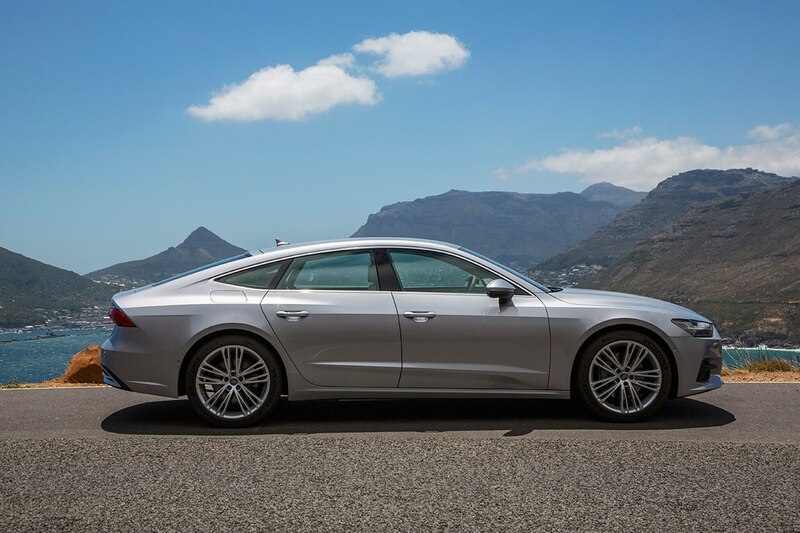 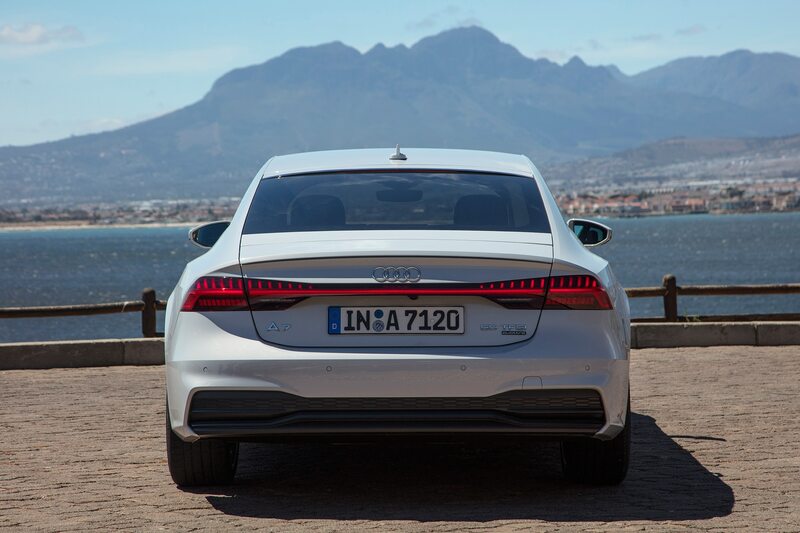 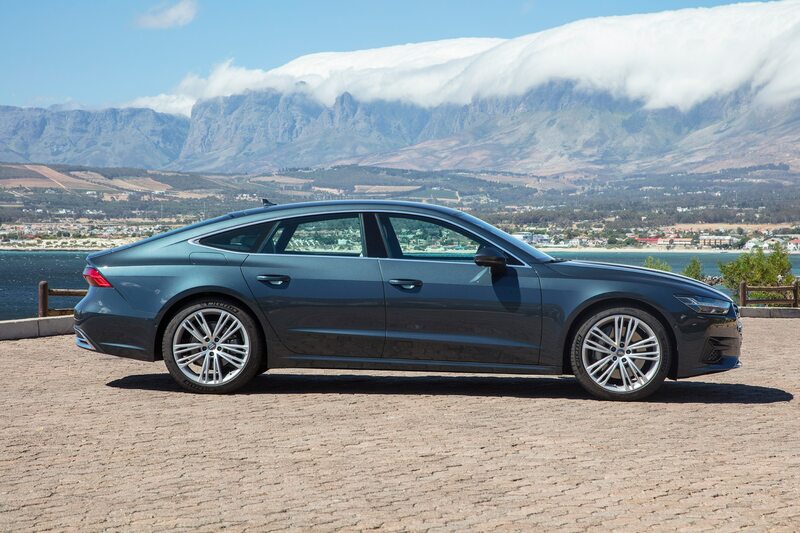 Until that happens much later this year, we’ll just keep staring at those sultry rear fender lines and wondering if the new A7 Sportback will make as great an impression Stateside as it did on the children of West Cape.